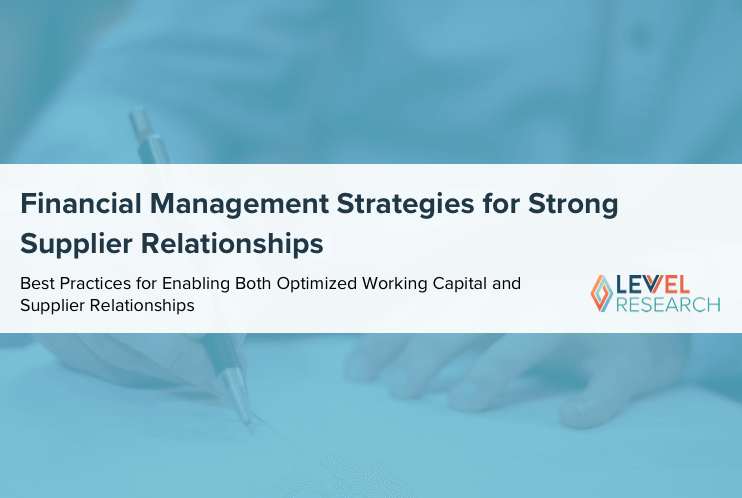 Optimizing working capital and strengthening supplier relationships can often seem like competing objectives. The former has historically required cost cutting and creating strain on suppliers and trading partnerships. One privately-owned pest control manufacturer, Woodstream, found itself with this familiar challenge: pressure to improve working capital while at the same time maintaining strong supplier relationships. 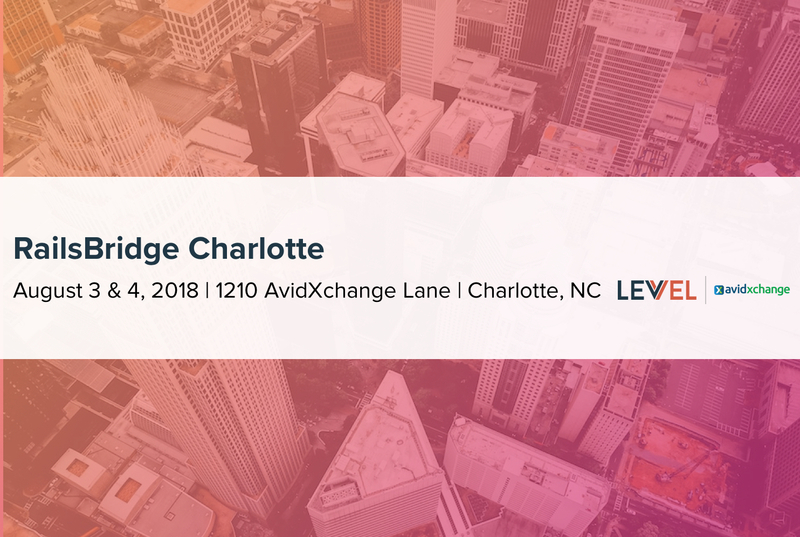 Join Levvel Research, PrimeRevenue, and Woodstream’s EVP Operations, Shawn Reniker, for a deep dive into how Woodstream successfully leveraged supply chain finance strategies and technology to improve working capital and strengthen supplier partnerships at the same time. 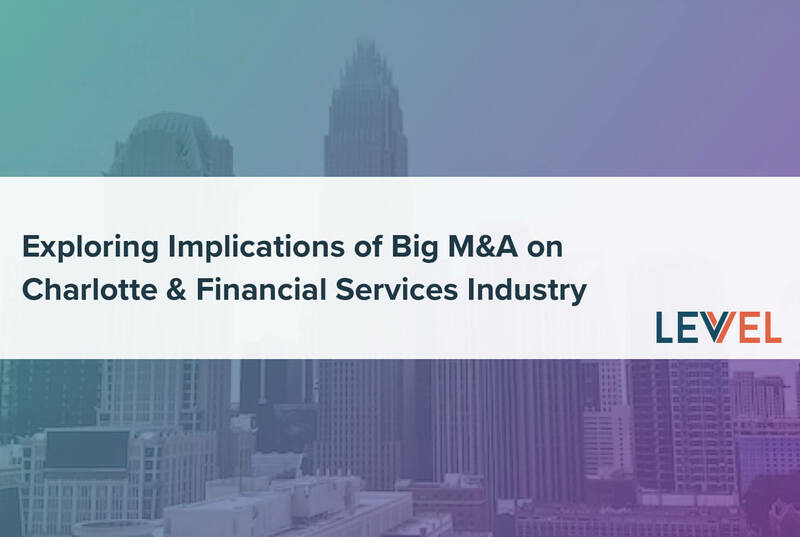 Join Finsiders on Tuesday, April 9 for a dialogue with industry and city leaders to explore implications of the first big M&A post-crisis on both the City of Charlotte and the Financial Services Industry. Join this session to discuss the real life situations women face in technology careers and learn about best practices and behaviors you can implement at your organization to drive a positive experience. 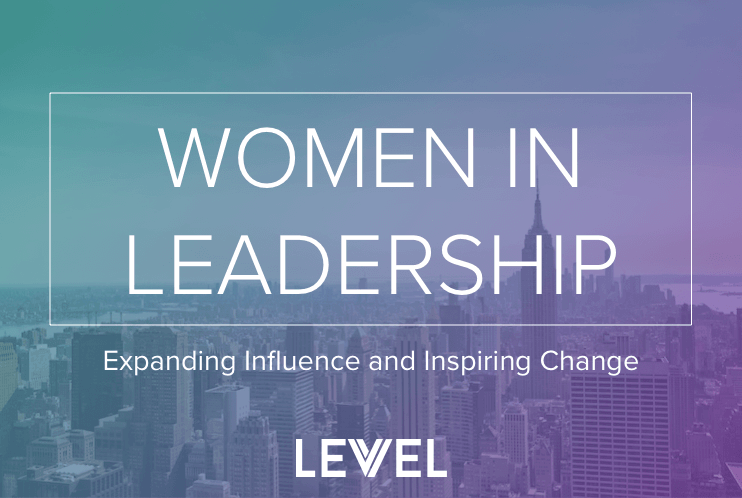 Join Levvel for a panel on women in leadership in celebration of Women's History Month. Implementing technology across high-cost, back-office processes like accounts payable (AP) can be essential for increasing efficiency and improving a company’s bottom line. 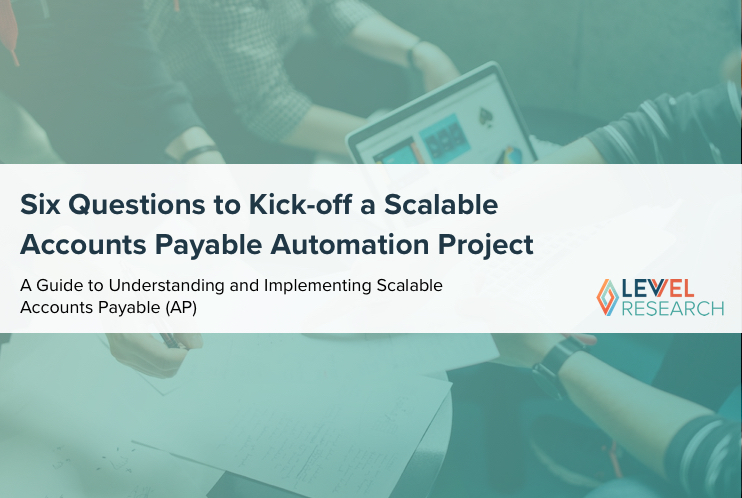 Large enterprises are often able to automate many inefficient manual processes at a time with fully featured software platforms, but how should scaling companies with limited resources for technology investment approach AP automation? Choosing the right solution for your budget, process structure, and business goals is essential for driving improvement and savings. For scaling companies, this could mean starting with AP and invoice management processes and scaling the automation software to other areas of the back-office over time to gain higher ROI. 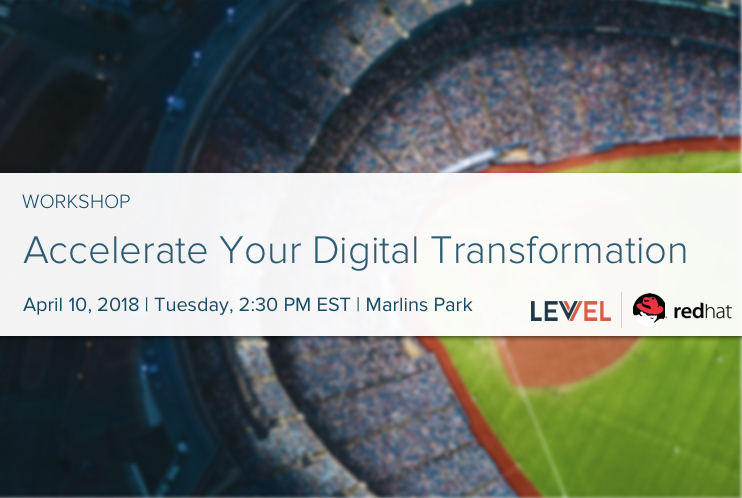 Join Levvel Research (formerly PayStream Advisors) and enterprise content management (ECM) expert, DocStar, as we explore how organizations can strategically leverage technology and change management best practices to automate AP processes and beyond—driving ROI throughout the back office. It will outline how invoice and document management automation cut costs and accelerate efficiency, and it will offer best practices on how to communicate technology ROI to key stakeholders. 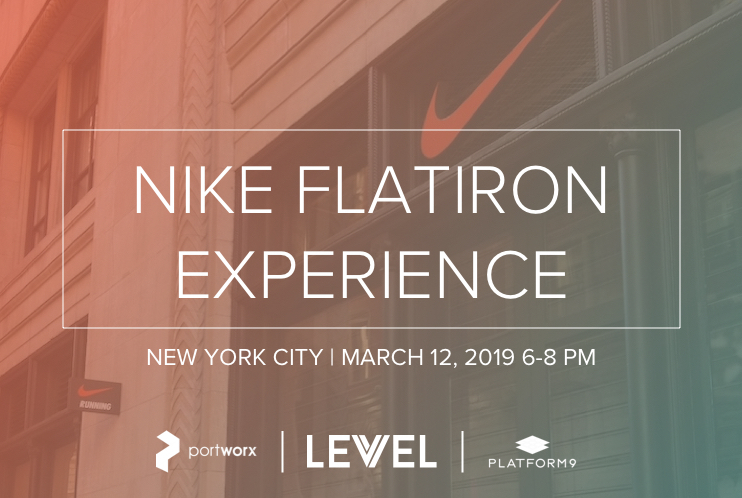 You're invited to join Levvel, Platform9, and Portworx for an exclusive Nike shopping event and panel discussion about container management at scale. In recent years, large and mid-sized organizations have awakened to the need to maintain global partners and an international supply chain. However, complexity is the enemy of efficiency, and global business relationships entail a very complex process, one that is fraught with fraud and risk compliance requirements. When it comes to leveraging back-office processes and departments, a company’s payables team can either be an afterthought or a contributing partner to streamlining global partnerships. 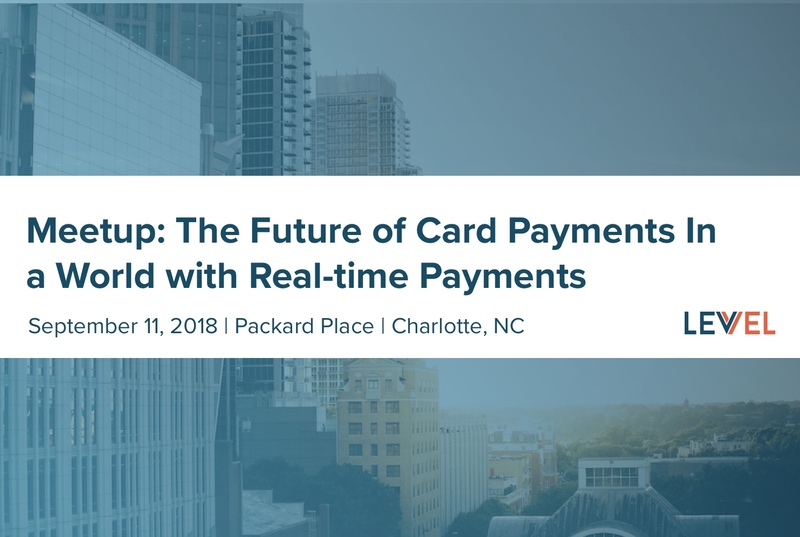 In this upcoming webinar, Levvel Research's analyst Anna Barnett and Rob Israch from Tipalti, a leading ePayments provider, will team up to present the latest research on current payments trends, including challenges in global payables management. 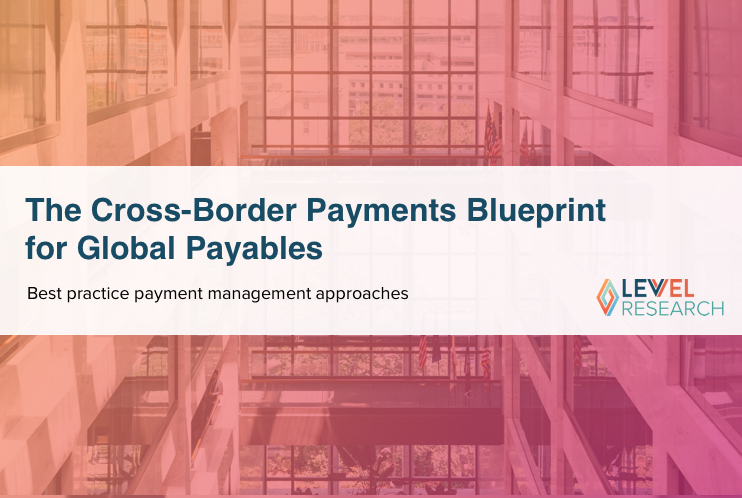 This event will detail the requirements for a global payables process, and it will recount how one real company significantly reduced their risk profile for global payables. There are lots of ways organizations lose money throughout the sourcing, procurement, and payment process. Some of these include maverick spend, off-contract or out-of-budget purchasing, and high processing costs due to manual, paper-based methods. 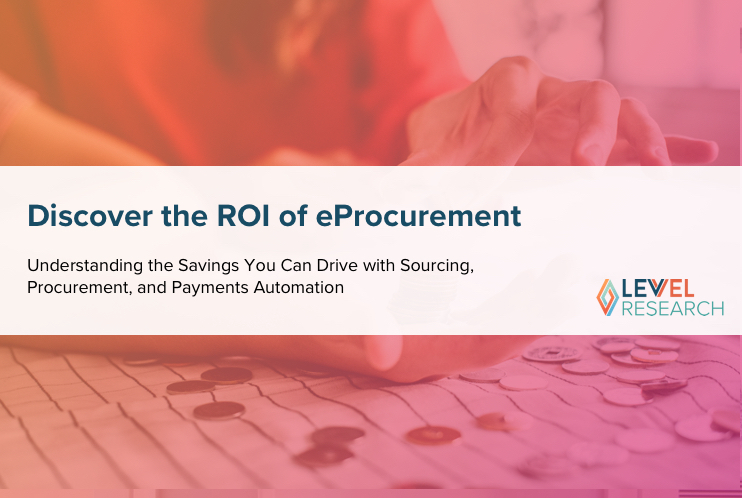 Fortunately, many of these costs are avoidable and significant savings can be realized by deploying the proper tools, such as electronic sourcing, procurement, and payment software. 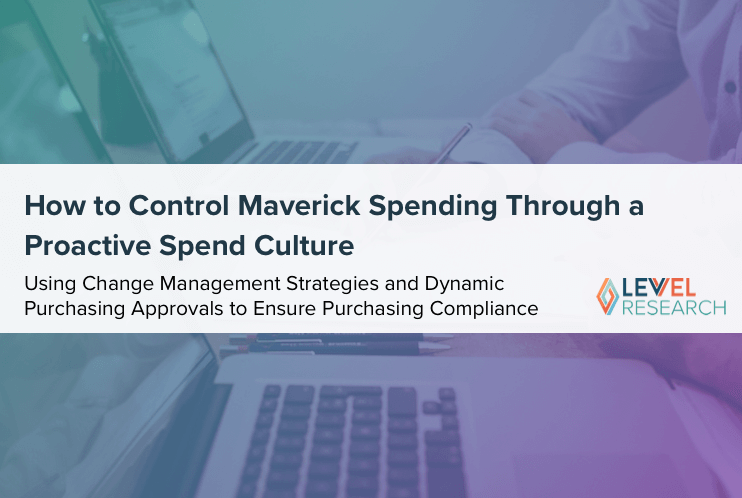 However, just as things like maverick spend are difficult to gauge, it can be tricky to predict the savings you can drive through automation. Join Levvel Research and Source-to-Settle solution provider, Unimarket, as we explore how the New Jersey Institute of Technology calculated its targeted sourcing, procurement, and payment cost savings and how this higher education institution plans to measure its ROI. This webinar will explore current trends around procurement processing and the costs of manual processes. It will provide usable, take-home ROI calculator tools and strategies to help attendees measure the many benefits of automation. It will also explore ways of using these findings to gain executive buy-in for technology investment. Contracts are the lifeblood of many organizations, as much operational and business stability depends on them. However, if contracts are managed on their own, in siloed environments separate from sourcing, procurement, and supplier processes, the valuable data and functional relevance of these documents will be much less effective for ensuring a company’s operational success. 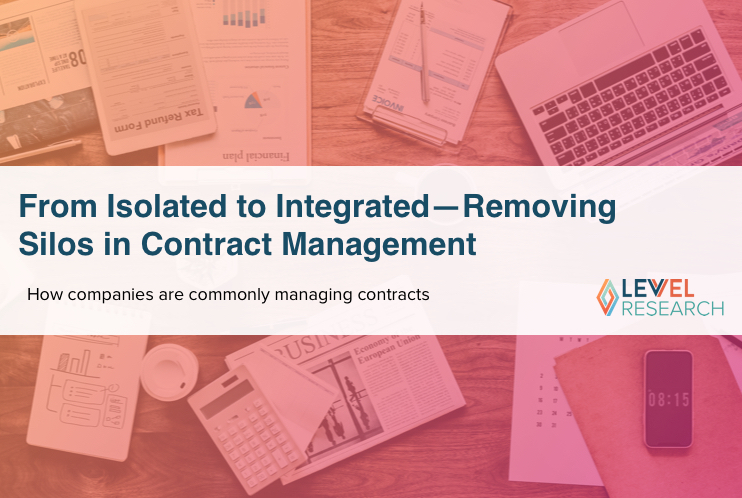 Siloed contract management can even put companies at risk of missing regulatory requirements or contractual milestones, which can damage relationships with auditors, business partners, and even customers. Join Levvel Research and sourcing and contract lifecycle management (CLM) provider, Determine, as we take a look at the latest trends in contract management processes among today’s leading organizations. This webinar will explore how companies are commonly managing contracts (e.g. with spreadsheets, homegrown systems, point solutions, suites, etc. ), and how a truly integrated Source-to-Settle (S2S) approach can mitigate risk, identify savings, and maximize supplier relationships. If you’re a growing organization trying to stay competitive in today’s market despite shrinking profit margins, you’re likely looking for ways to cut costs in your back office. Many companies try to accomplish this by automating their financial departments, such as with an accounts payable (AP) automation solution. The question is, when you’re operating under the pressures of highly manual processes, high volumes of paper invoices, overworked AP staff, and stretched resources, how do you know where to start with automation. 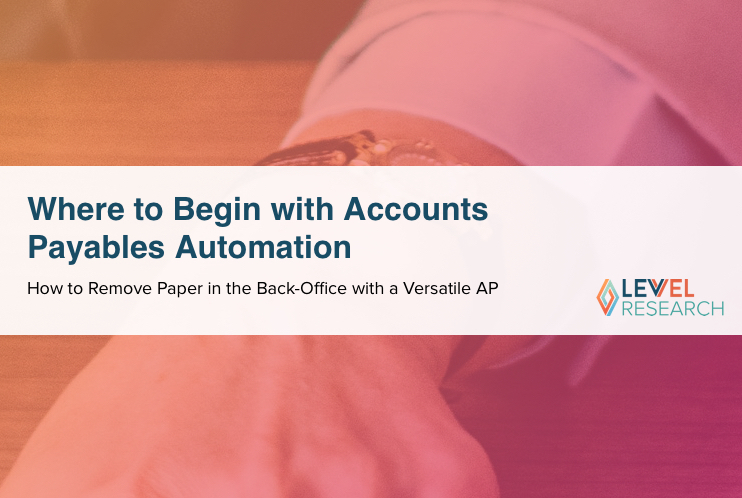 Knowing where to start often requires a deeper understanding of the various types of AP automation, and how different approaches can be applied to companies depending on things like their business structure, paper volume, and size. Join PayStream Advisors and AP automation expert, ImageTag, as we explore how some of today’s innovative, growing organizations are going completely paperless and touchless in their AP department. This webinar will explore how to get started with automation based on various metrics within a department (department size, invoice volume, timeline, etc.). It will also highlight how organizations can leverage a flexible invoice management solution to help improve other areas of back-office efficiency as well. Artificial intelligence, machine learning, big data. What are these tools and what do they mean for procurement? Although things like artificial intelligence (AI) are becoming increasingly relevant to back-office automation software, Levvel Research has found that the average procurement team is often more concerned with controlling spend in their procurement processes than implementing “futuristic” technologies. Fortunately, the technologies of the future can be leveraged to solve some very old problems, like poor visibility into purchasing, off-contract or maverick spend, and high costs in procurement overall. First, however, the success of both efficient procurement and innovative technology adoption depend on one thing-good data. 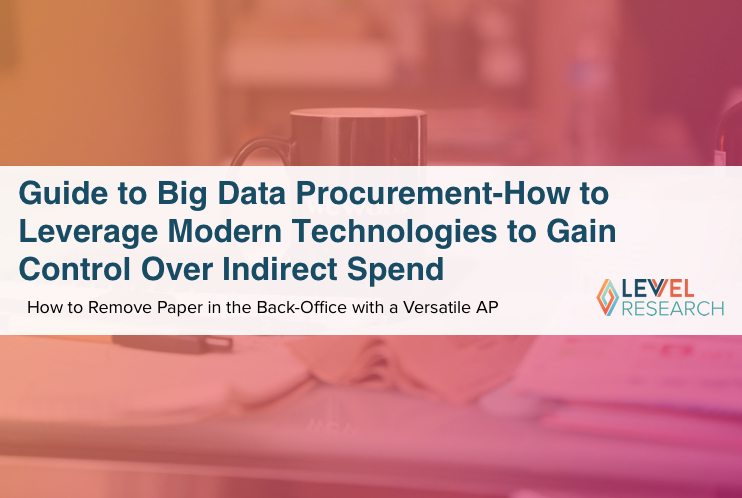 When organizations streamline the intake of spend data in procurement, they are able to see into and analyze purchasing activity to strategically enhance procurement across all functions, teams, and business operations. Strong data also enables them to prepare for modern tools like AI to further improve efficiency. 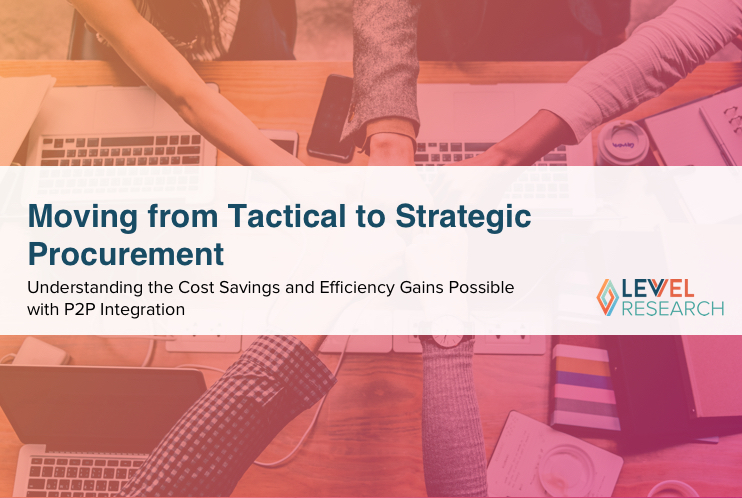 Join Levvel Research and P2P expert, Basware, as we explore how organizations and their procurement teams can streamline procurement data to improve control over spend and prepare for the innovative procurement technologies. This webinar will demystify terms like AI and machine learning and explore what they will do for procurement departments over the next several years. 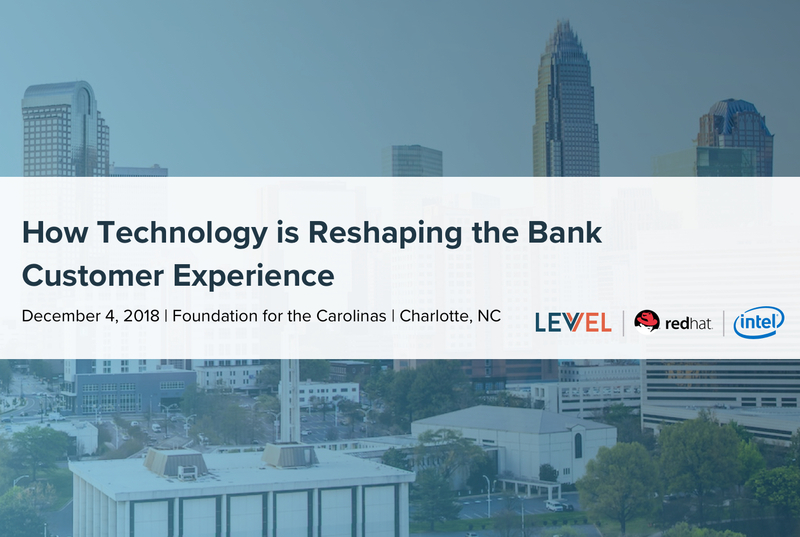 You're invited to join us in Uptown Charlotte for a talk about how technology is reshaping the bank customer experience at Foundation for the Carolinas. 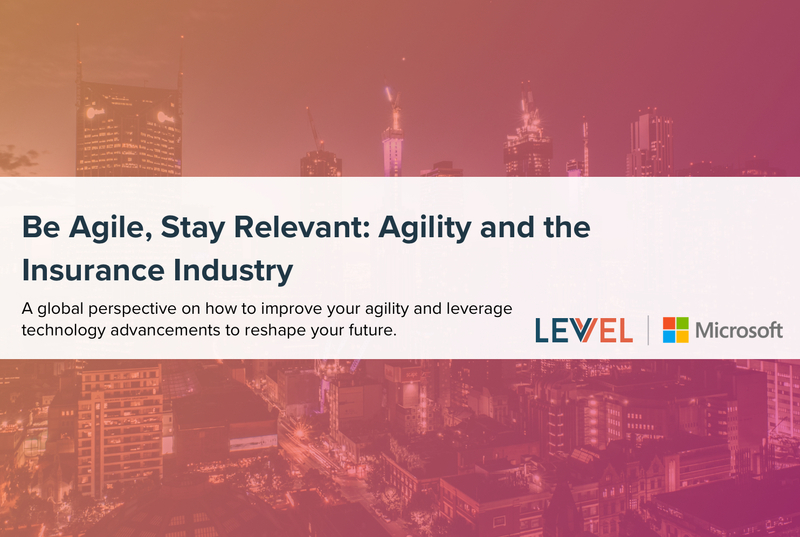 Hear a global perspective on how to improve your agility and leverage technology advancements to reshape your future. 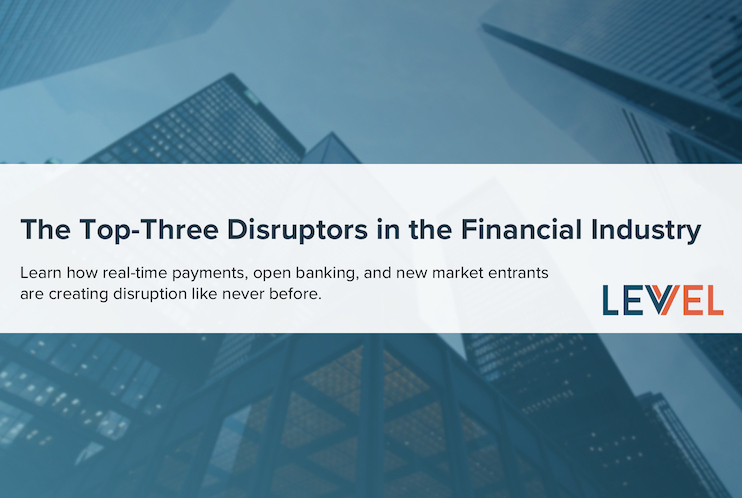 The financial industry is more fluid than ever, and the introduction of faster payments and open platforms are enabling change at an increasingly rapid pace. 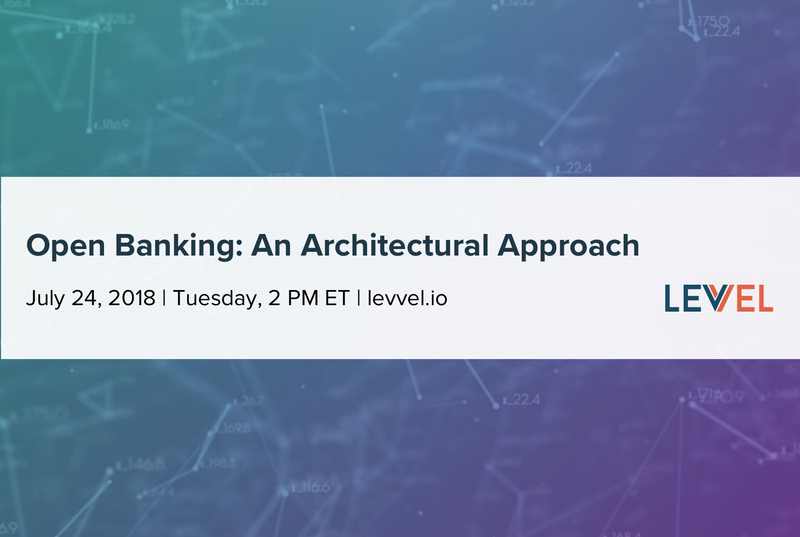 Learn about how real-time payments, [open banking](https://www.levvel.io/resources/white-paper/open-banking-architecture-secure-and-efficient-design), and new market entrants are disrupting legacy frameworks like never before. Accounts Payables departments have traditionally been considered cost centers, a reality only perpetuated when organizations are managing AP processes manually. Today, things have changed: AP automation software and modern technologies like artificial intelligence (AI) and supervised machine learning enable organizations to turn this cost center into a profit center. Not only can organizations manage AP faster and cheaper with automation, they can transform the role of AP within the organization by enabling strategic supplier payments, cash flow, and working capital management. 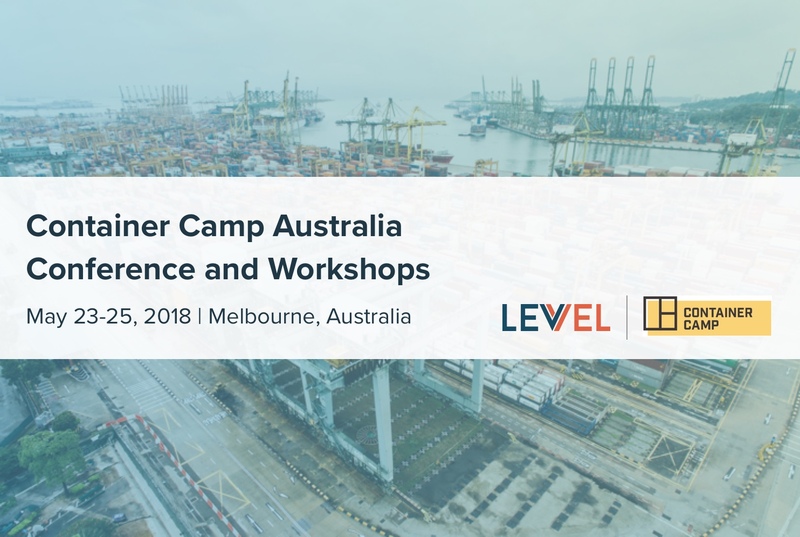 Join Levvel Research and AP technology expert, Carl Hillier, Head of Product Marketing at Ephesoft, as we explore how the modern software can transform AP processes and enable businesses to strategically leverage their invoice management to their competitive advantage. 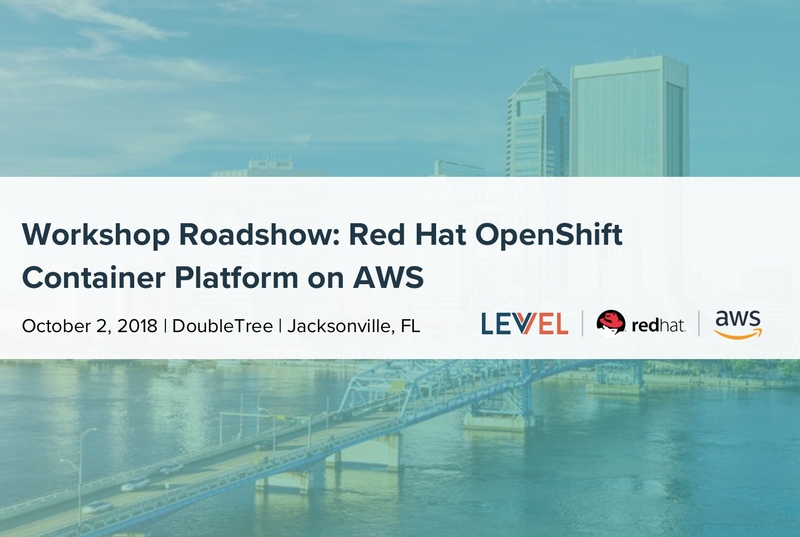 Join us for a half-day workshop to learn how to simplify application development using Red Hat OpenShift Container Platform on AWS. 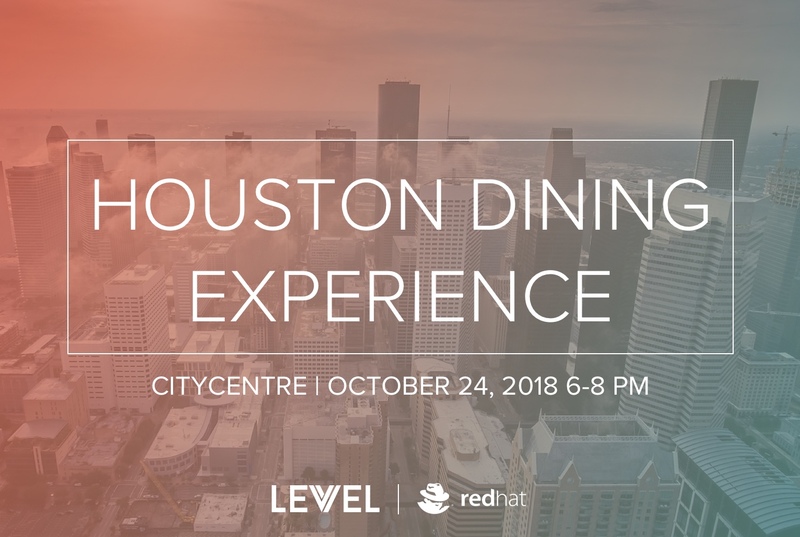 Join Levvel and Red Hat at Citycentre's Sal y Pimienta restaurant for a night of incredible dining and discussion provided by some of the industry's top leaders in digital disruption. Working capital initiatives, for the most part, are a finance or treasury-led initiative. However, when it comes to implementation and the long-term success, procurement is largely responsible for leading the execution. It’s a reality often overlooked by financial stakeholders and one that exposes a weak link in how companies implement working capital initiatives such as supply chain finance. Join PayStream Advisors, PrimeRevenue, and a seasoned procurement and business management professional, Brenda Lloyd, for a discussion on bridging the gap between finance and procurement initiatives. 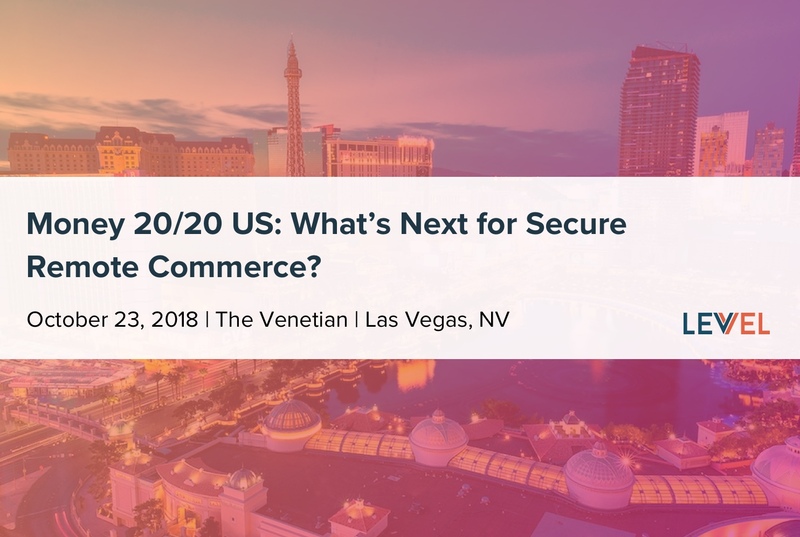 Money 20/20 US: What's Next for Secure Remote Commerce? 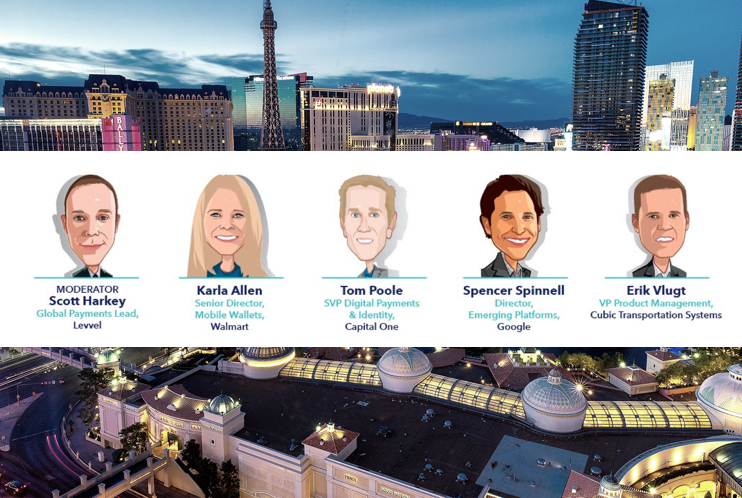 Don't miss Levvel's Global Payments Practice Lead Scott Harkey discuss what's next for secure remote commerce as he leads the Payments and Platforms track at this year's Money 20/20 US in Las Vegas. Serverless architectures are trending due to the operational and development cost reductions they afford the business. 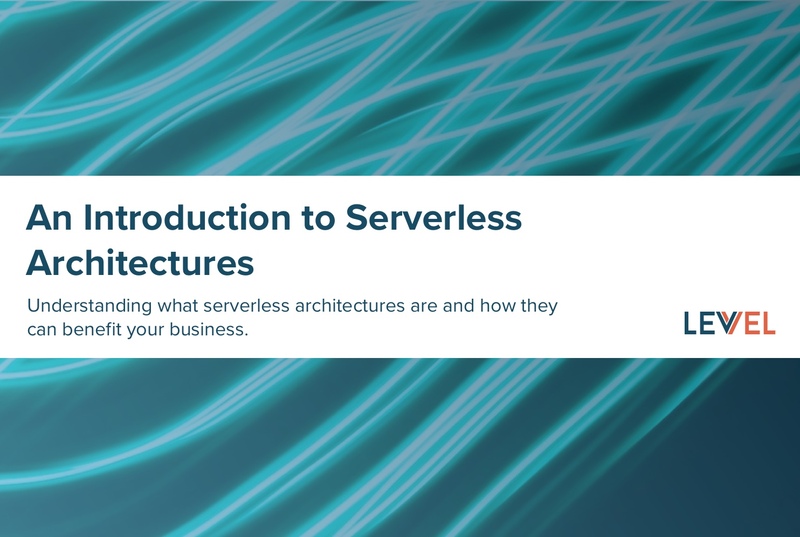 Join us to learn more about how serverless architectures compare to traditional architectures and how a business can best realize their numerous benefits, including the ways it can improve time to market. 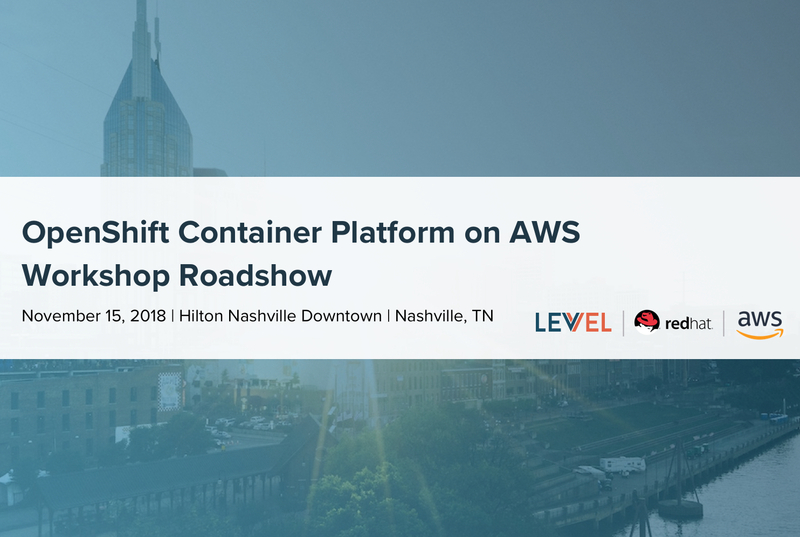 Join Levvel, Red Hat, and AWS for a half-day workshop to learn how to simplify application development using Red Hat OpenShift Container Platform on AWS. We’ll walk through how to containerize applications on AWS. 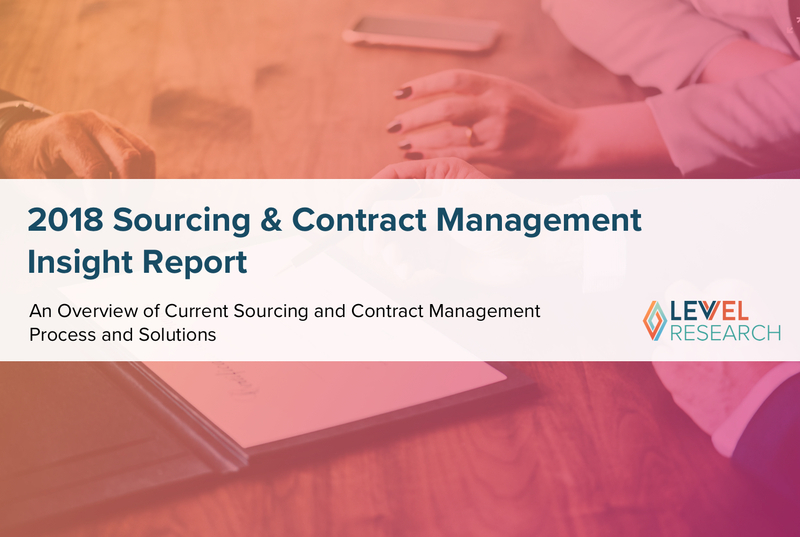 Levvel Research’s latest research report on sourcing and contract management processes and technology revealed a lot of exciting and valuable trends among North American organizations. These included insights on how effective organizations are leveraging automation tools to improve their competitive advantage, and the most common barriers to automation adoption among companies still struggling under manual processes. However, even with such valuable information on hand, some companies may wonder how they can use it to improve their own business. Levvel Research is teaming up with Source-to-Settle technology expert, Determine, to show what the latest trends in sourcing and contract management actually mean for you. Webinar attendees will be able to benchmark themselves against their peers in terms of common management practices, pain points, and goals, and will take away several data-based action items on how to improve their own current states. This webinar will also use real-world case studies to show how companies are using electronic sourcing (eSourcing) and contract lifecycle management (CLM) technology to improve their competitive advantage. 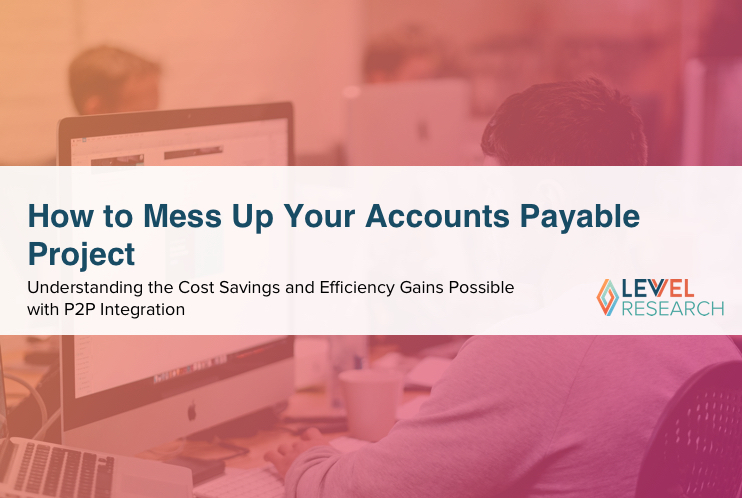 PayStream Advisors is teaming up with AP/invoice processing automation expert, Yooz, to go over the potential AP project pitfalls that organizations often encounter —and reveal how easy it is to avoid them! This webinar will combine practical information with humor, outlining sixteen very effective ways to “mess up your invoice automation technology project.” Will you recognize yourself in any of the scenarios we present? For today’s innovative, competitive organizations, automating AP processes is no longer a question of why, but when. Most companies have recognized the value of automation technology, and now these organizations want to know how to automate to their best advantage. By following a few best practices, organizations can reduce the time, headaches, and mistakes often made during technology adoption, and greatly increase their potential ROI and overall automation success. 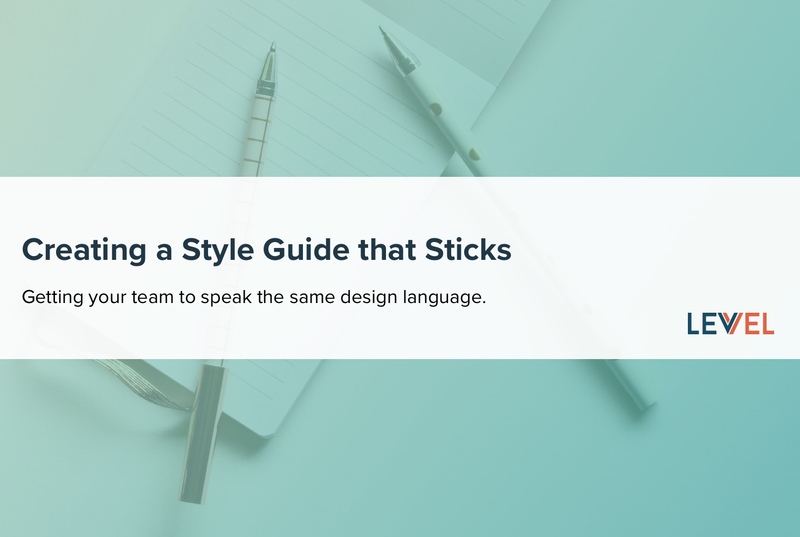 Style guides can be incredibly useful to get a team all speaking the same design language. They can also be really hard to define and implement, let alone to get them to stick culturally. Join Devin Smith and Katy Scott for a discussion on style guides, how to create them, how to maintain them, and what it takes to make them stick. The goal of any organization is to run its operations as efficiently and strategically as possible, especially where it affects cash flow, financial stability, and the bottom line. However, without the proper tools in place to manage back-office processes, or the ability to optimize processes based on important financial data, organizations can’t always manage their current state with their competitive advantage in mind. One example of this is manual procurement. Without electronic procurement (eProcurement) software to automate processes, organizations can’t help but focus on the tactical problems that are born from inefficiency and a lack of control. On the other hand, automation enables organization to shift their focus to more strategic aspects of procurement. With automation, companies are also able to leverage advanced reporting and analytics to identify new areas of spend management, areas that were not visible or accessible under manual processes. Join Levvel Research and eProcurement expert, Paramount WorkPlace, as we explore how strategic procurement management and automation, including eProcurement capabilities like advanced analytics and reporting tools, helps companies optimally manage spend. Change is afoot in the payments world. The U.S. is in the midst of launching its first new payments rail since ACH in the 1970’s and this new real-time payment (RTP) rail (courtesy of The Clearing House) has the potential to significantly disrupt payments as we know it. One major area of impact is the card payments rails run by Visa, MasterCard, et al. This emergence of RTP begs the question—what will happen to these card rails? Both digital transformation and DevOps are two of the most-discussed topics among businesses in 2018, and for good reason. Our research team recently completed a survey of over 250 practitioners with the goal of benchmarking the trends, challenges, metrics, and goals of the ambitious companies, your peers, that are paving the way. When executed properly, DevOps can provide massive benefits to a business that can be felt across the entire organization. 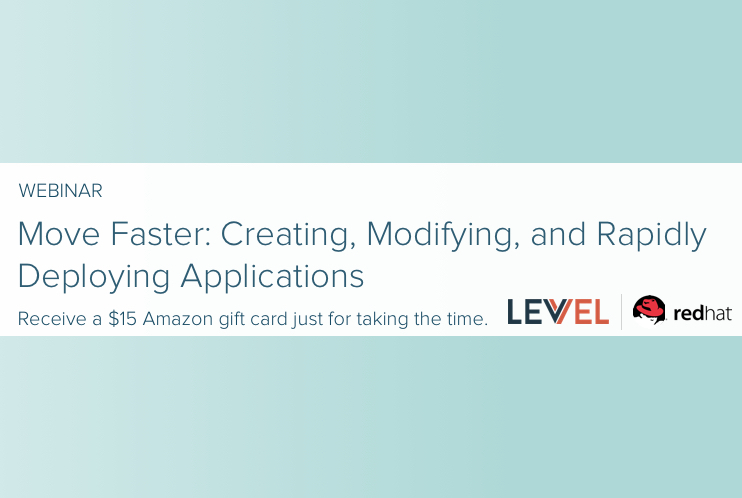 Some of these benefits include quality of code, better deployment times, increased time to market, the ability to quickly adjust to both market and customer needs, and so much more. With as much discussion and thought leadership surrounding these topics, it's surprising that there's no true definition of what DevOps actually is, or what it really means to digitally transform—until now. 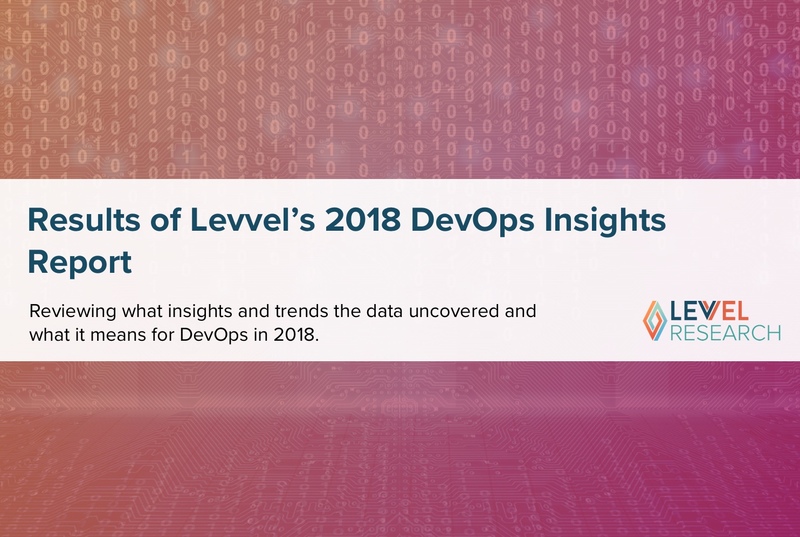 Our research team will soon be publishing their comprehensive and informative 2018 DevOps insight research report that covers what DevOps is, how to get started, how to measure digital-transformation success, what tools to use, and much more. Join us on August 31 as we discuss the industry insights uncovered by our research team, officially define DevOps, take an exclusive look at the current state of the industry, and show how you can build the business case for DevOps. GraphQL is kicking off again this month with another exciting event lined up with some great talks. 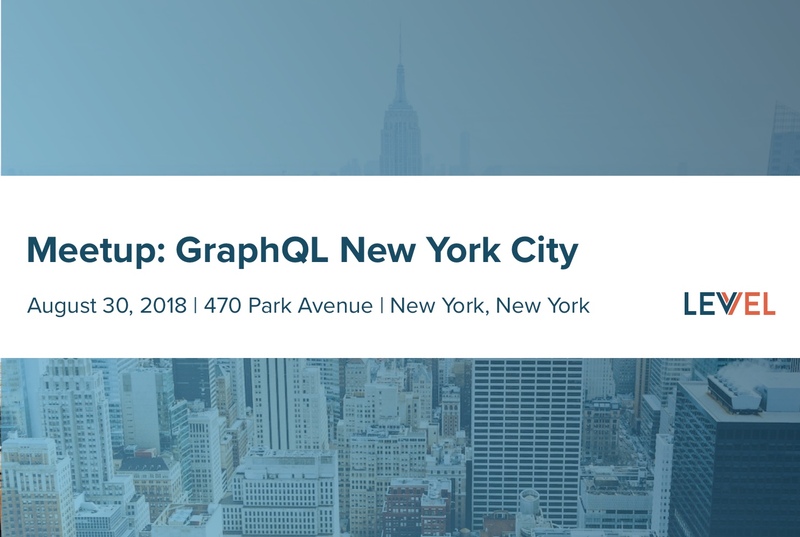 Levvel's Brenda Jimenez will provide a live demo on what GraphQL subscriptions are, where to use them, and how to implement them with Apollo Server and Client 2.0. Come join us for an evening to mingle, connect, and talk design with some of Charlotte's top design professionals. We are incredibly excited to announce that [Abstract](https://www.goabstract.com) is sponsoring the whole meetup and it will be filled with food, drinks, and swag! When choosing an expense management solution, one of the most important things to look for is a tool that can scale as your company grows. This is especially true for international organizations, as they need a solution that can reliably serve thousands of end users across different regions, workflows, tax requirements, and regional standards. If an organization chooses a solution without considering scalability, they lower their potential ROI from software adoption, run the risk of having to replace the tool in the near future, and limit their chances at being a competitive global player. What does a scalable solution look like? 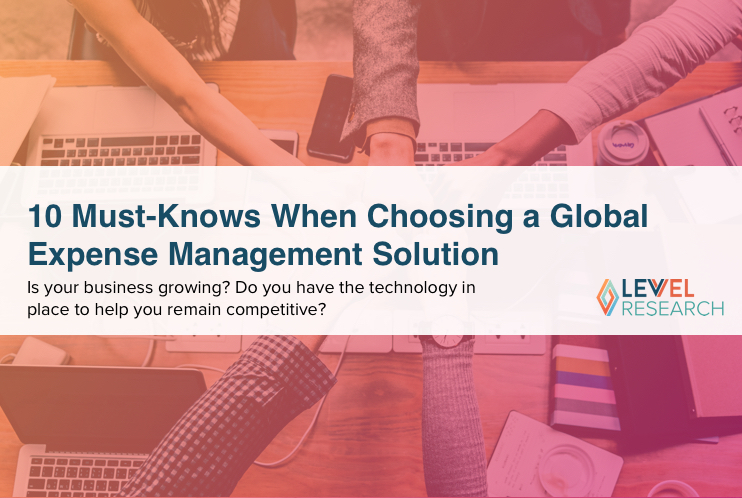 PayStream Advisors is teaming up with expense management software provider, Chrome River, to explore the top 10 crucial considerations and questions for evaluating cloud-based global expense management solutions. This webinar will show how to identify leading solutions by characteristics like flexibility, international tax and compliance support, mobile device accessibility, and international support. By selecting a tool with these considerations in mind, companies can automate their expense management process in a way that grows and evolves with the business. Join us for a Ruby on Rails event focused on developing web applications and programming in Ruby. 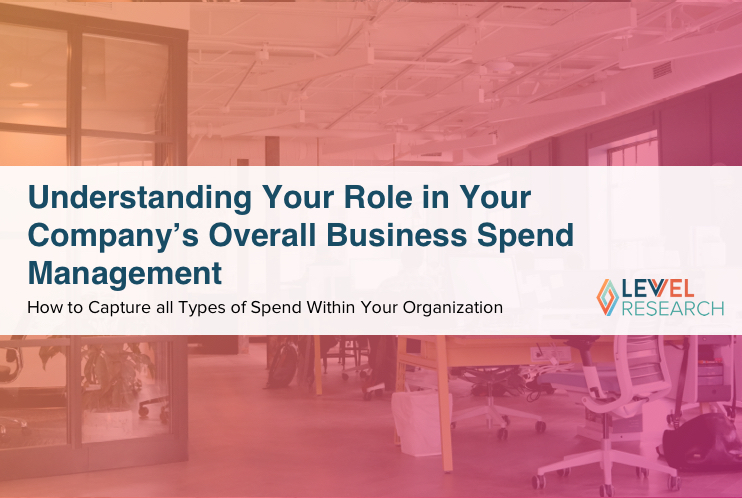 While many of today’s back-office stakeholders want to help their organizations improve spend management, different departments often have siloed, segmented cultures that prevent them from identifying their role in this process. Instead of viewing spend management automation in a holistic, strategic manner, companies see back-office process automation software as piecemeal solutions to very tactical problems. For example, an Accounts Payable (AP) department might plug in an invoice management software to try to reduce high invoice volume without really considering the impact that the Procurement department’s purchasing methods have on their own process. On the other hand, when organizations take a holistic business spend management approach, they not only improve their own process issues, but their organization as a whole. 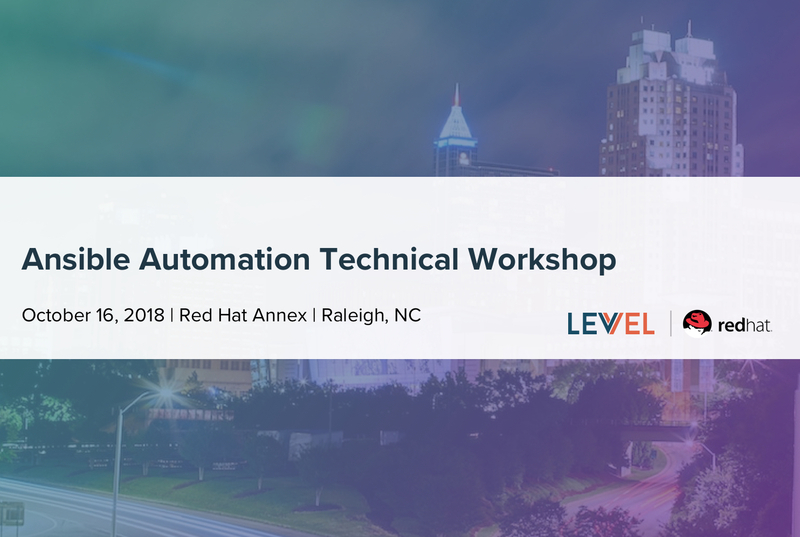 Join Levvel Resraech and Source-to-Settle automation provider, Coupa, to explore how different processes and departments contribute to the company’s overall financial health. This webinar is meant to encourage different stakeholders to look beyond their own slice of business spend management, and to show how technology can help internal teams collaborate to better contribute to their company’s bottom line. Open Banking continues to be a key topic of conversation at banks of all sizes, and many financial institutions are left wondering what it means to them from a technology perspective. 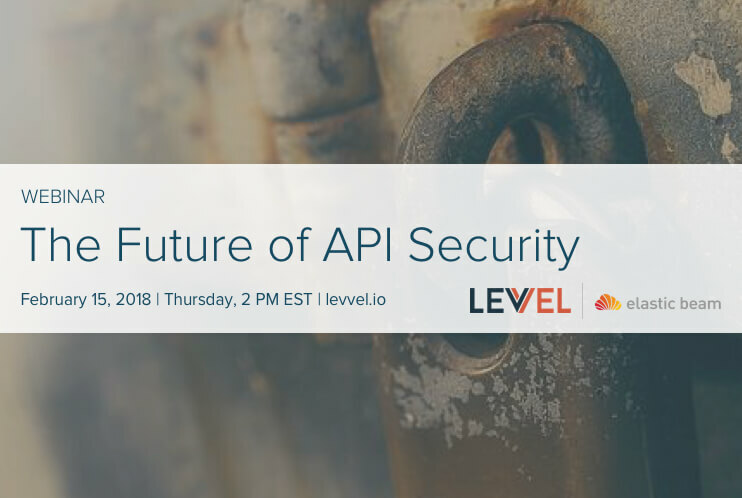 Join us to hear more details, from a technology perspective, about API security around your offering, modelling, and standards, as well as onboarding and management strategies. Implementing and deploying cross-platform and self-contained .NET applications hasn’t always been possible, which has impeded companies from adopting DevOps and moving to a microservice architecture. 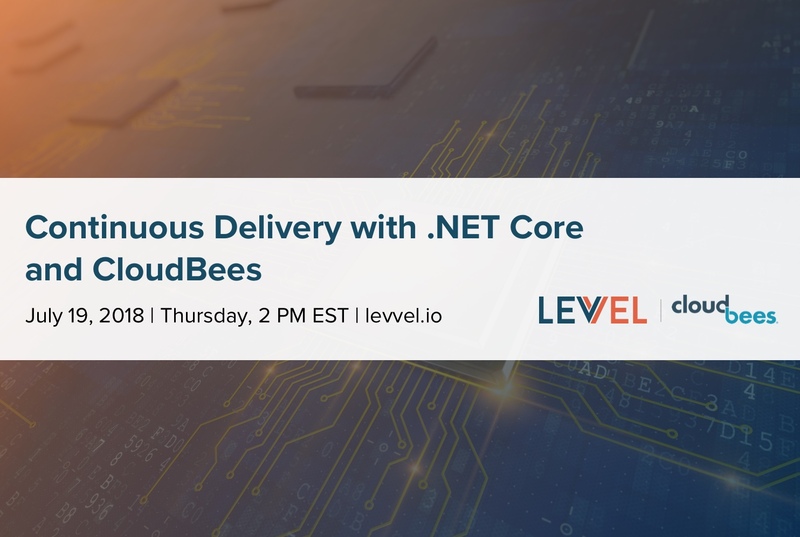 Join Levvel as we discuss taking a .NET Core application through a modern continuous delivery pipeline using Jenkins and Kubernetes. We will highlight why Kubernetes is a good choice for .NET Core applications, common continuous delivery techniques, and what other options are available for continuous delivery, containers, and orchestration. By the end of the webinar we expect you will dismiss any reservations you have about getting started refactoring your .NET applications into a more nimble microservices architecture. 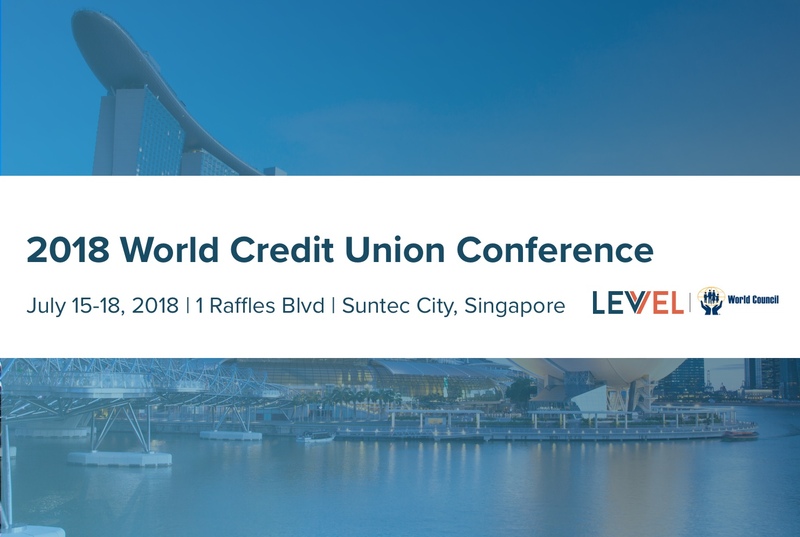 The World Credit Union Conference is the future-focused event of global financial cooperative services industry. This event provides the opportunity for financial service professionals from around the world to come together to look at the common challenges and and those strategies being developed to respond to global industry pressures. An in-depth discussion on digital transformation by some of the industry's top thought leaders. Discussing the process, organization, and technology necessary for companies to become digital natives. Invoice fraud. For many Accounts Payable (AP) teams and Finance managers, it’s a competitor they didn’t know they had—until it’s too late. Every day, perpetrators from outside and inside of an organization use fake, inflated, and duplicate invoices to rob companies of thousands or even millions of dollars in revenue. Not only is invoice fraud a drain on a company’s resources, it also poses a major to risk the strength and security of the organization’s sensitive data. In order to fight fraud and maintain control over spend, organizations must be able to detect any issues before they endanger a company’s bottom line and competitive advantage, Levvel Research is teaming up with invoice automation expert, Chrome River, to explore how invoice management automation can help organizations gain control over invoice fraud. 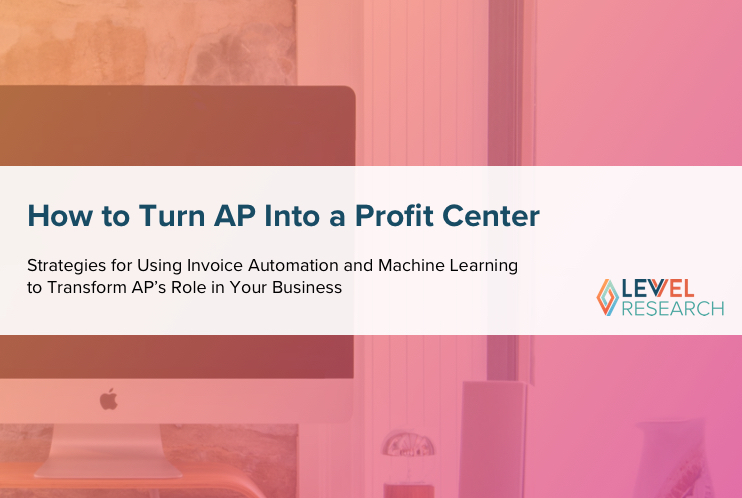 This webinar will explore the ways AP software not only simplifies processes and increases efficiency, but how it can flag and stop invoice fraud and provide visibility into everything from spend patterns to the status of an invoice. This event will cover 5 key ways companies can use internal controls to increase compliance, minimize risk, and gain control over the invoice management process. Accounts Payable (AP) automation software is one of the best ways to lower processing costs in the back-office, as well as improve staff productivity and a company’s bottom line. However, there are a couple of things that can make or break the success of an automation initiative, like ensuring proper implementation and widespread adoption of the solution in order to gain a strong return on investment (ROI). Research shows that a fear of no ROI from technology adoption causes many organizations to steer clear of automation altogether. 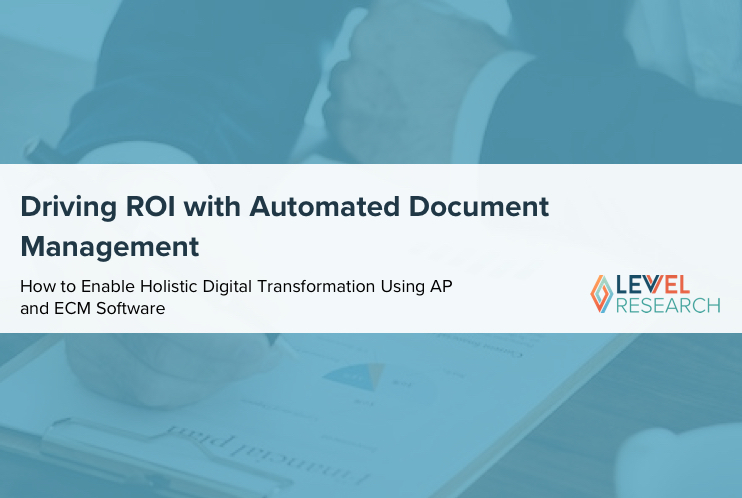 In fact, Levvel Research has found that almost 50 percent of organizations continue to operate under manual and highly inefficient processes, which causes them to miss out on the monetary and strategic benefits of automated invoice management. 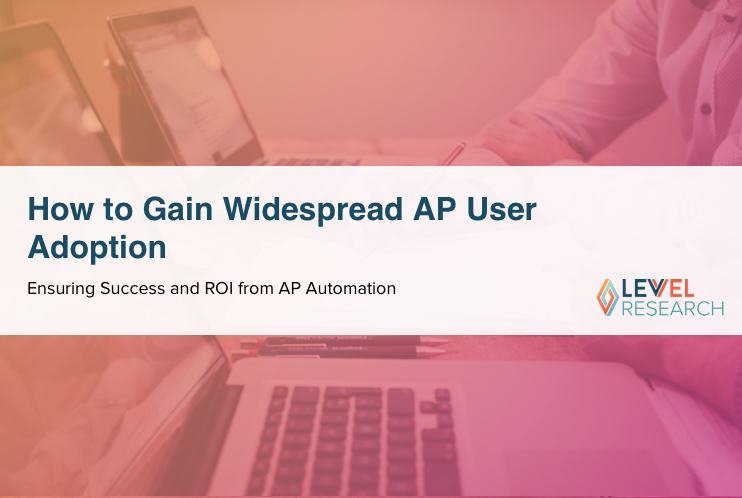 Join Levvel Research and Procure-to-Pay / AP expert, Basware, as we explore how to gain widespread, strong, and sustainable adoption of AP automation software. This webinar will cover AP management trends among today’s organizations, as well as strategies for gaining both internal user and supplier adoption of a solution. It will also highlight some change management best practices for software implementation, and how these strategies will help companies to achieve greater ROI. Each year Fintech Generations is one of the largest fintech conferences outside of New York City and San Francisco. 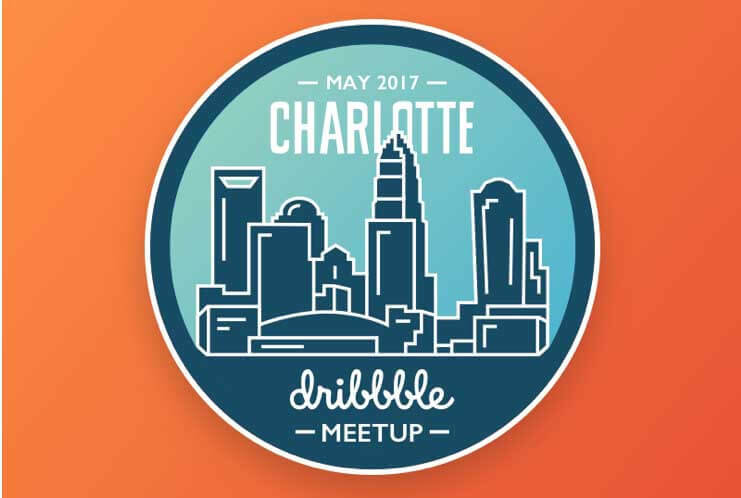 Attendees come to Charlotte to see what is happening in one of the world's most dynamic regions in fintech innovation. 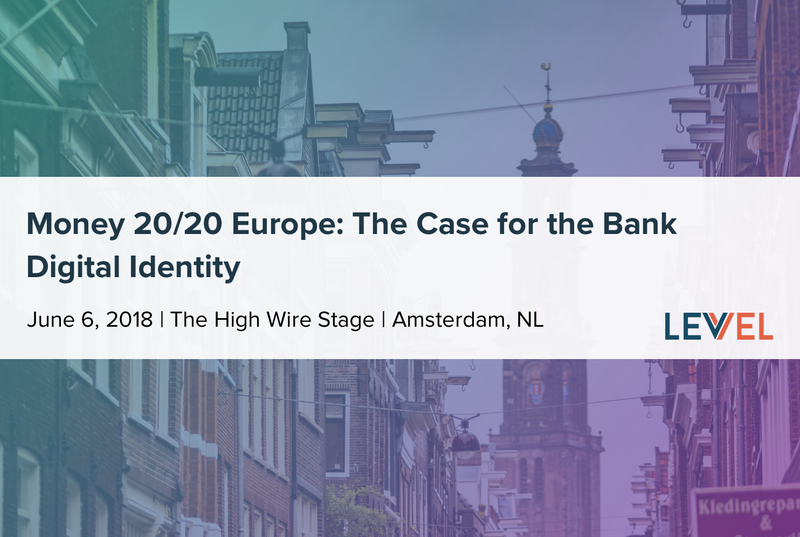 Levvel's Global Payments Lead, Scott Harkey, will be presenting "The Case for the Bank Digital Identity" at Money 20/20 EU. 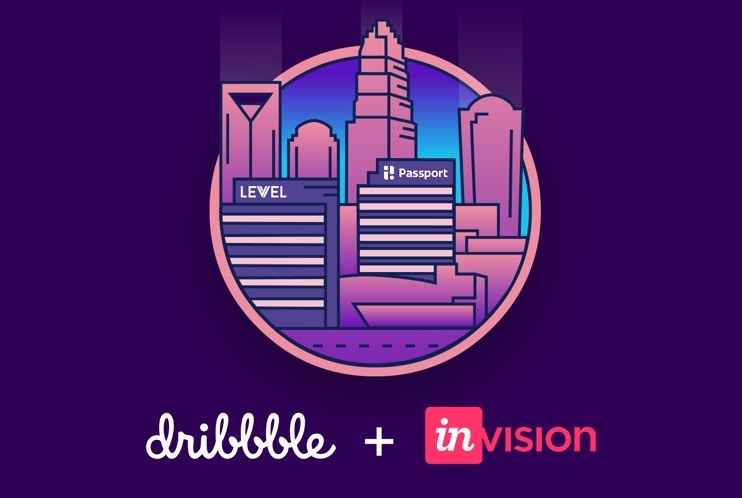 We are incredibly excited that InVision is sponsoring this meetup filled with food, drinks, swag, and of course InVision Studio. Come stop by Passport’s office on May 31st! 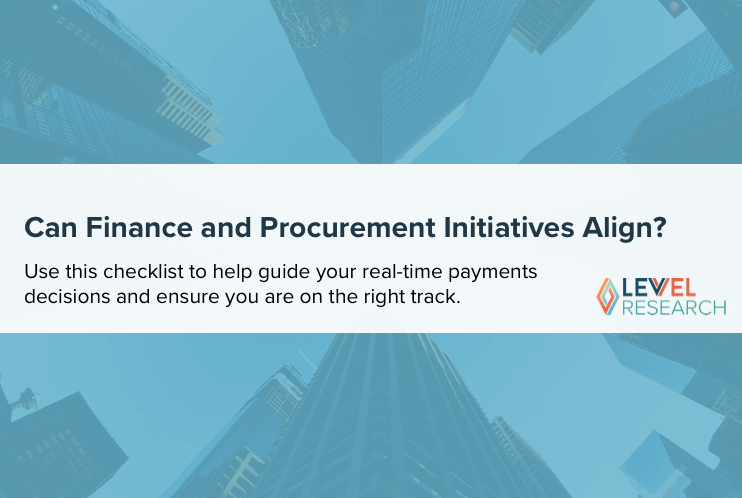 An optimal Procure-to-Pay (P2P) process entails synchronization and transparency between back-office finance departments—particularly, Accounts Payable (AP) and Procurement. Unfortunately, in many organizations finance groups operate independently of each other, often reporting poor communication, limited visibility, and strained relationships between teams. Another difficultly that arises from a lack of integration is the inability to accurately measure processing costs around managing invoices and purchase orders (POs). This can prohibit an organization from properly controlling spend, improving upon their current state, or from predicting the ROI possible with automation. 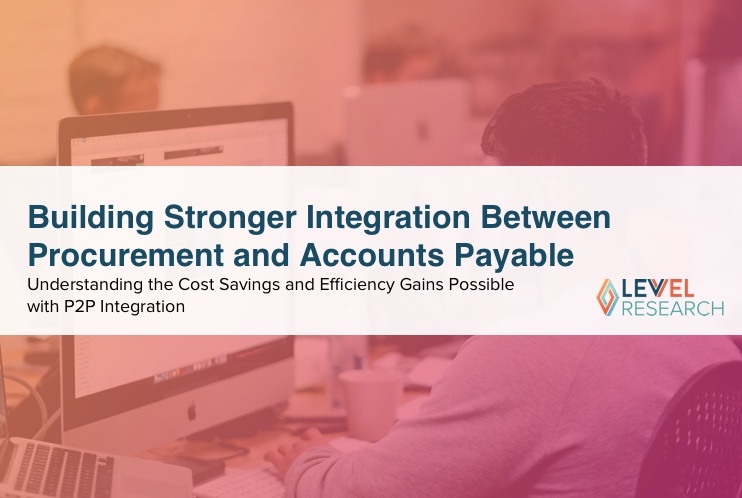 Join Levvel Research and P2P expert, Paramount Workplace, as we explore the value of building stronger integration between procurement and finance. This webinar will look at the costs around invoice and PO management, and will discuss the improvement in P2P efficiency before and after process integration. It will also cover best practices for building better P2P integration with automation tools, such as invoice management and electronic procurement solutions. 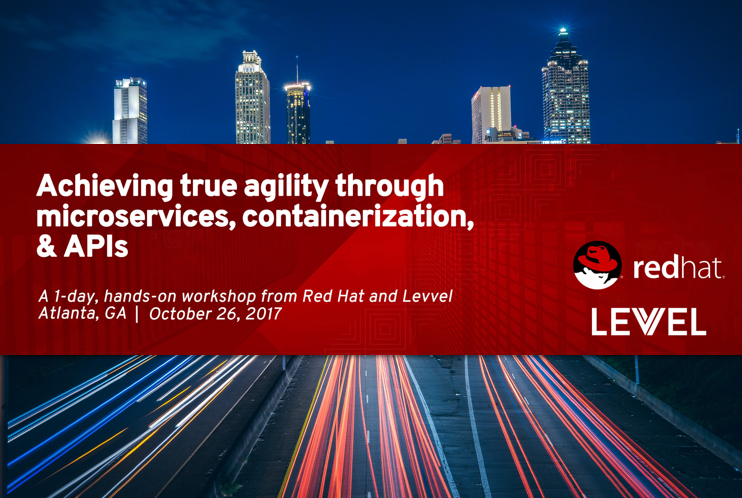 Explore the latest technological advances in containers from the leading players and cutting-edge startups. You’ll hear from innovative enterprises, tech giants, and startups who are transforming enterprise IT and driving business innovation with containers. Implementing a design system creates efficiency, prevents inconsistencies, and prohibits unacceptable design choices as your organization grows. 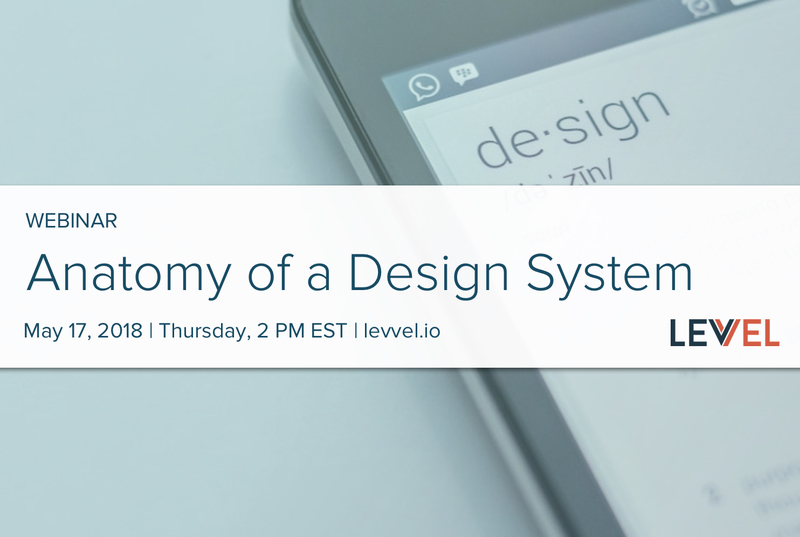 Join Levvel for a discussion of what it takes to build a robust design system and how your company can benefit from it. 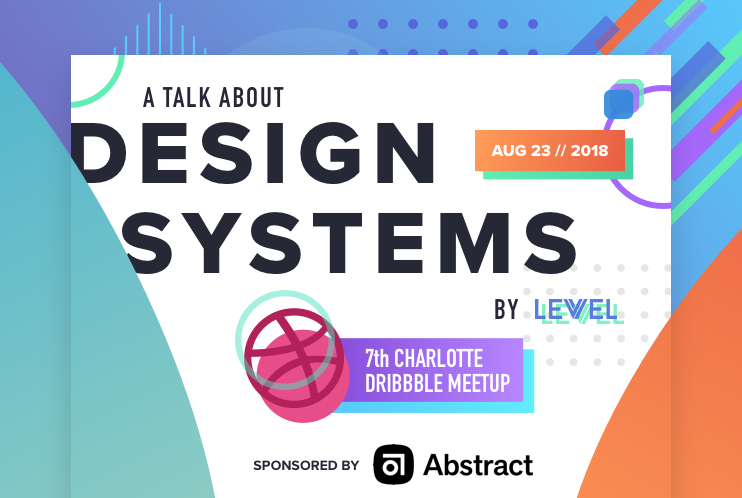 We will go over what goes into a design system, how to get started, analyzing the maturity of a design system, and how to build upon it. 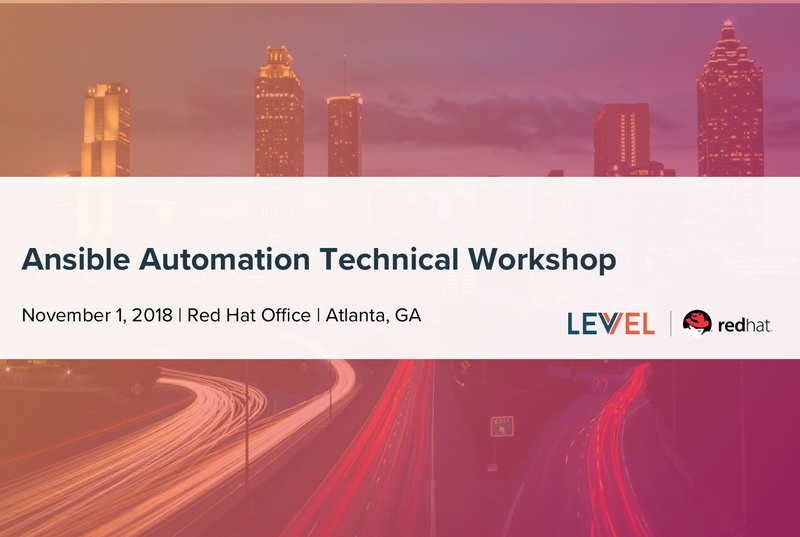 Join Levvel and Red Hat for a full-day workshop where you'll learn how to manage the complexity of distributed app development and bring new business value to existing apps by developing and deploying with modern architectures and frameworks. Open Banking: Should Banks Resist or Embrace It? Open Banking continues to be a key topic of conversation at banks of all sizes, and many financial institutions are left wondering what it means to them. 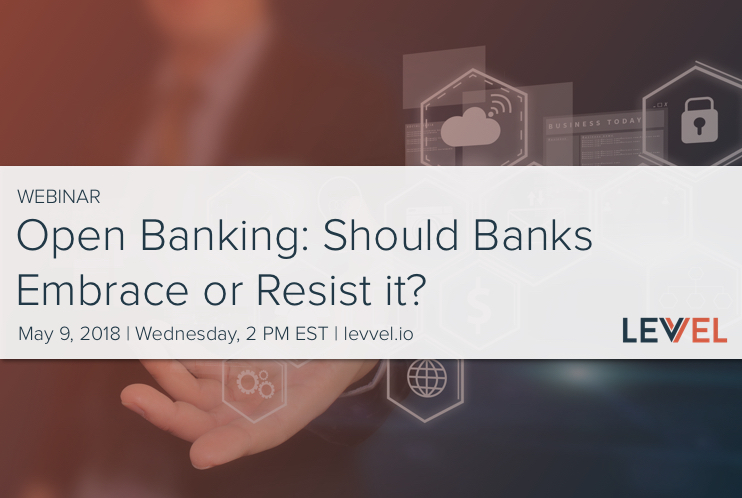 Join us to hear more details about various approaches to open banking, how to prepare for it, and why now is the time to define your institutions’ strategy. 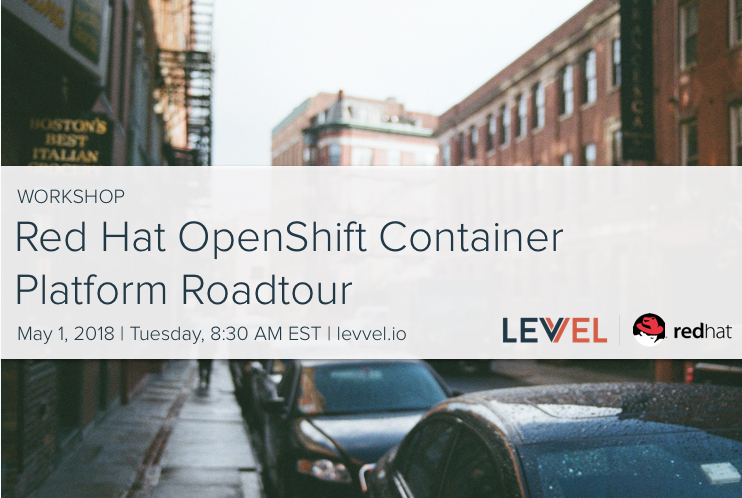 Join Levvel and Red Hat in Boston on Tuesday, May 1st, for an OpenShift workshop. 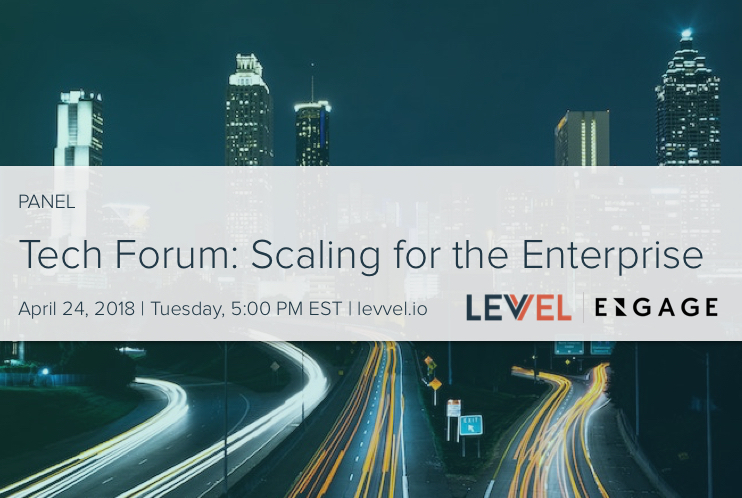 Join Levvel and Engage Ventures for a panel discussion on scaling for the enterprise. Technology teams are increasingly turning to microservices to solve common problems associated with the traditional, monolithic architecture style. While many become focused on the system architecture itself, the value of microservices cannot be fully realized without a mature CI/CD capability to go with it. 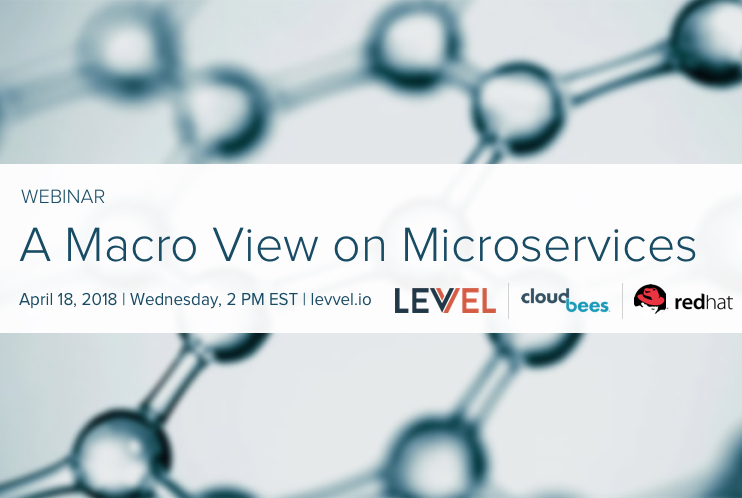 This webinar features experts from Levvel, CloudBees, and Red Hat who discuss the increased benefits companies can experience when microservices and DevOps principles are properly coupled together. 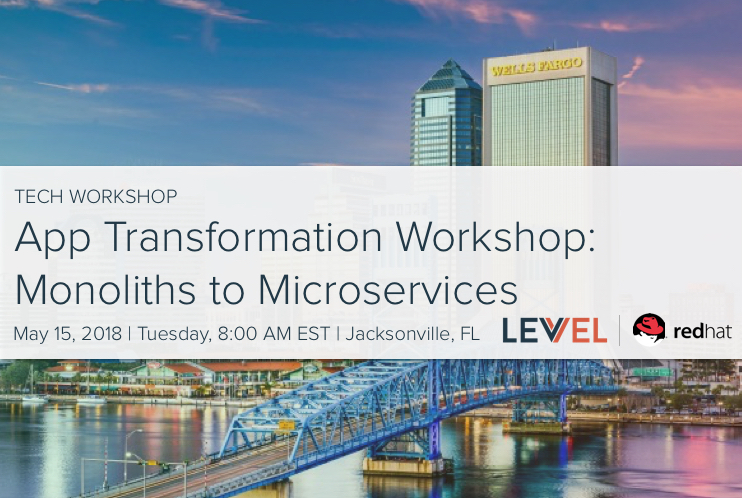 The session will close with a brief discussion on the people, process, and technology considerations that are required to move to a lightweight, flexible software delivery model. Accelerate your digital transformation with next-gen management and automation. 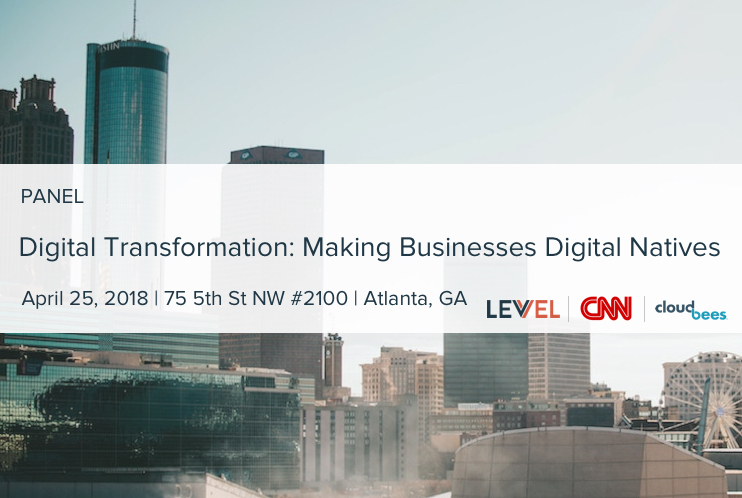 Hear use cases from industry-leading companies KeyBank, Macquarie Group, and Optum, and learn how digital transformation improved their businesses. Join us for the event and a Marlins game! 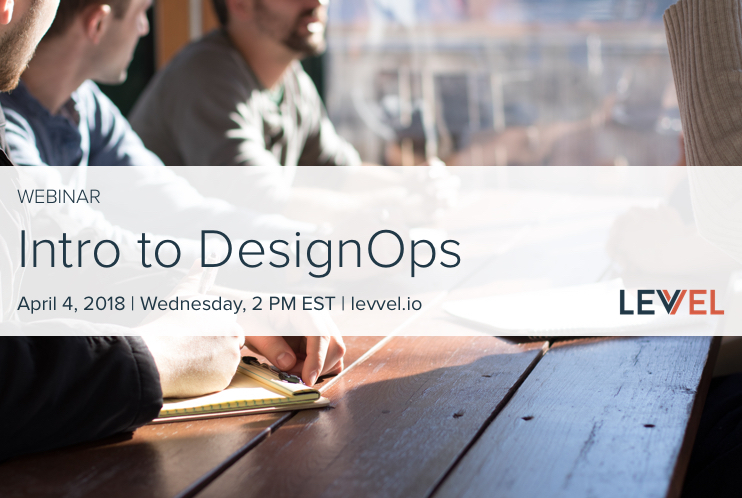 Join Levvel for a discussion on what DesignOps is and how your company can benefit from it. We will go over analyzing your design org structure, having the proper tools in place (e.g. a widely-used design system), and bridging the gap of design and engineering. In today’s business environment, cash is king. While many companies may be profitable, their success and financial stability are more likely to be judged by their ability to generate operating cash flow. 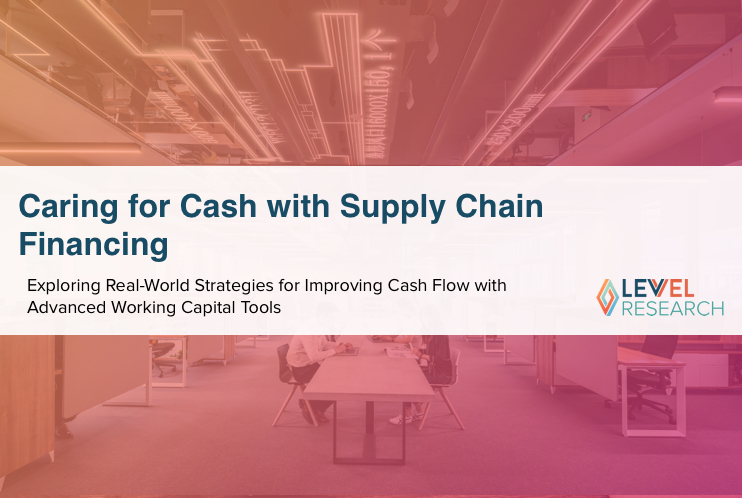 In tighter lending environments, a company’s best opportunity to increase operating cash flow is through working capital optimization tools, such as supply chain finance (SCF). However, implementing an SCF solution requires more than finding a preferred program partner and formulating a supplier outreach and engagement strategy. Overall, the success of a SCF program largely depends on having a company-wide commitment to achieving desired working capital goals. Join Levvel Research and SCF provider, PrimeRevenue, as we explore how to apply SCF strategies to existing operations in order to improve operating cash flow and a company’s competitive advantage. In order to outline real-world, applicable strategies, this event will cover the transformation story of Boston Scientific, exploring how they achieved over $150 million in increased operating cash flow by leveraging SCF and overhauling how they paid their suppliers. This event is for Treasury professionals searching for tools to increase operating cash flow. 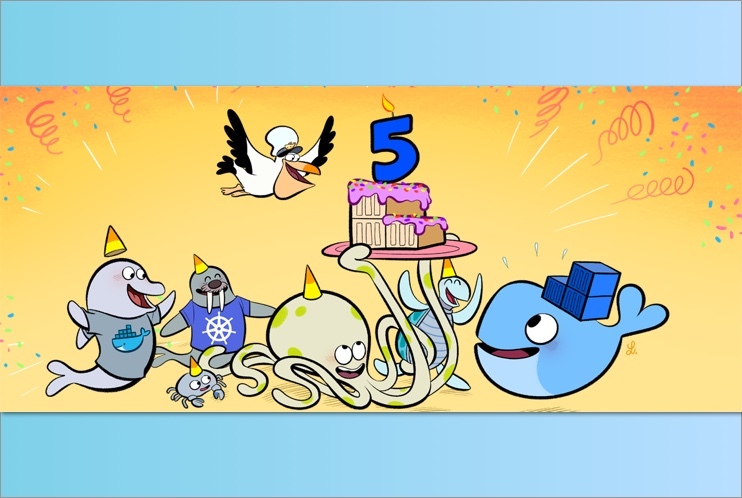 Every year in March, the Docker community celebrates Docker’s birthday. It is a tradition that is near and dear to the team's heart because it provides the opportunity to express gratitude to the community of contributors, customers, partners, and users. Financial institutions, healthcare providers, and participants in other highly-regulated industries are moving to the cloud at a record pace in 2018. Amazon Web Services (AWS) remains a top choice for these customers due to its execution capability, feature set, and expansive list of assessed and certified compliant services in scope. A common barrier for adoption among enterprise clients in this space is trepidation about the orchestration of resources across multiple AWS accounts. 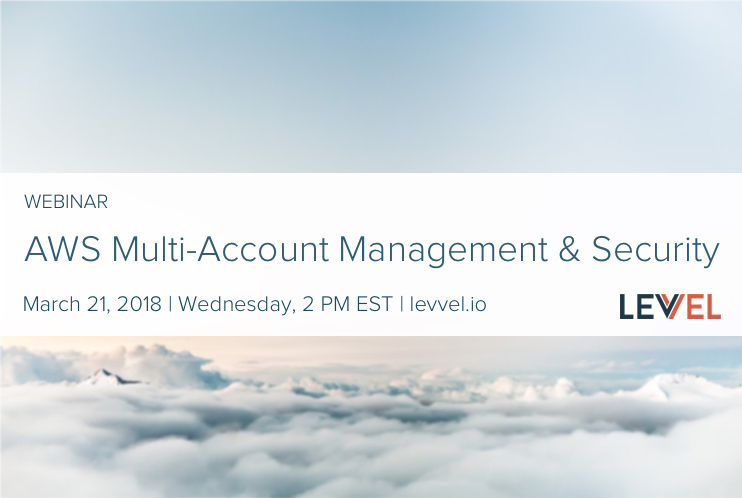 Join Levvel for an in-depth discussion of multi-account management, security, and compliance enforcement in AWS. 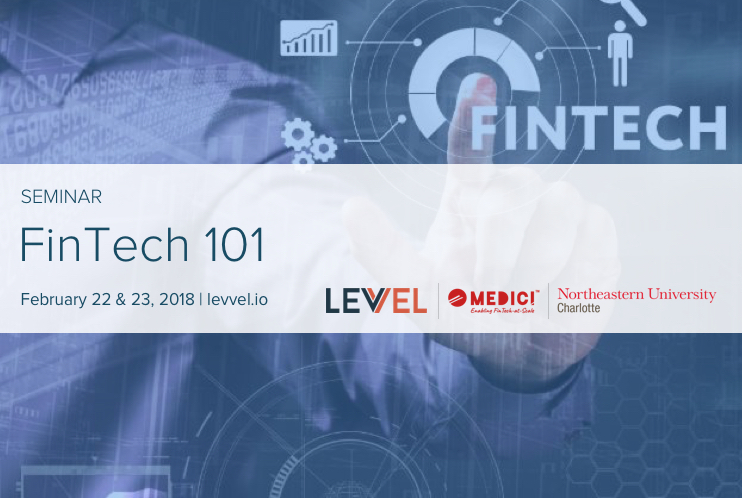 We’ll cover best practices, and discuss how we’ve successfully guided both large financial institutions and smaller FinTech startups. 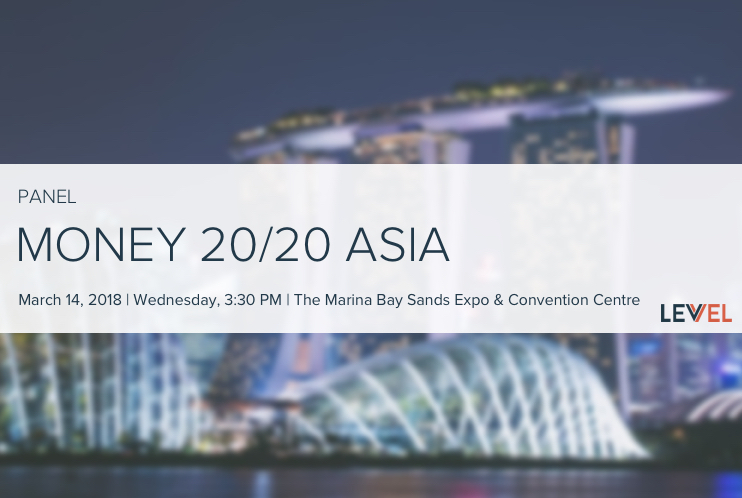 Levvel's Payments Practice Lead, Scott Harkey, leads the Next Gen Retail and Commerce track at Money 20/20 Asia. Many small banks and credit unions are wrestling with how they should approach P2P products for their customers. As Zelle has emerged as a top solution, is it the right choice for their institution? What about PayPal, Popmoney, or the card network tools? After a P2P solution has been chosen, how should they integrate it (e.g. build vs. buy)? We’ll cover several integration approaches and discuss how we've successfully guided and helped both major banks and smaller institutions. Scrum or Kanban? Estimate in story-points or task-hours? Two-week iterations or three? What's the optimal size for my Agile team? Are fluid teams a good idea? Or are stable better? Are you curious about Bitcoin and how it will affect the way you manage money? What are the advantages and disadvantages of Blockchain? How has "Open Banking" evolved? What other new technology is on the horizon that will affect your organization and its financial transactions? When it comes to increasing Accounts Payable (AP) efficiency, Levvel Research has found that today’s innovative professionals at the C-Suite level are increasingly becoming the main drivers for process improvement in their organizations. However, with the many different software options available, as well the challenges that arise with complete process overhaul, many CFO’s and other executives are struggling to identify just where to start with an automation initiative. They often require more clarity around measuring success in their AP department, and on what options are available to them that will help to improve that success. 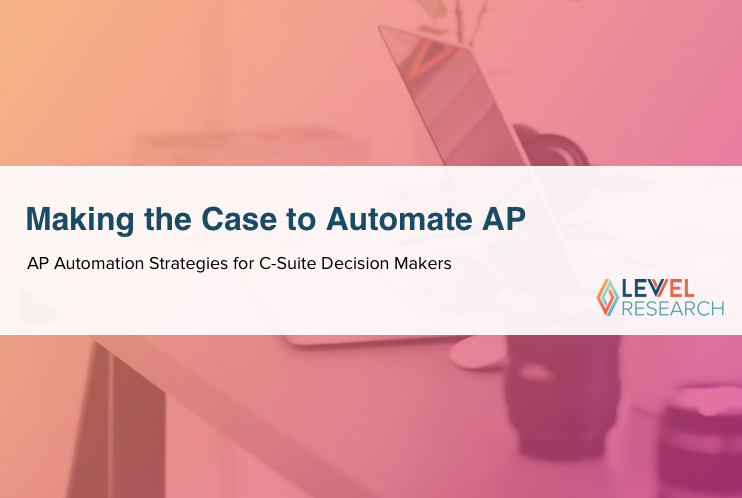 Join Levvel Research and AP automation expert, Yooz, as they explore AP transformation possibilities from the C-Suite perspective. This webinar will explore recent trends that highlight the concerns and goals of modern C-Suite professionals, and it will include a guest CFO from a leading company to share the story of their own AP automation journey. 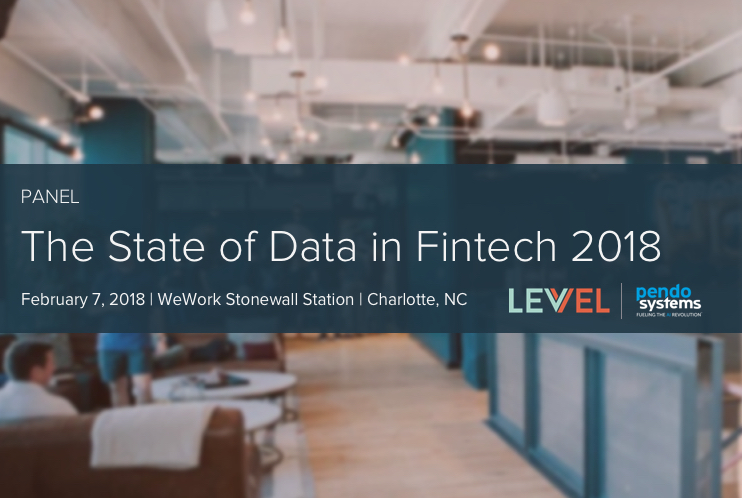 Join us for an engaging panel discussion with some of the preeminent Fintech leaders in Charlotte. As companies consider adopting different technologies to improve their back-office efficiency, cost control, and competitive advantage, they will find there are many options and strategies available. However, it is important that these organizations consider more than just which process can be automated—they should evaluate how that automated process can improve their global competitive advantage. 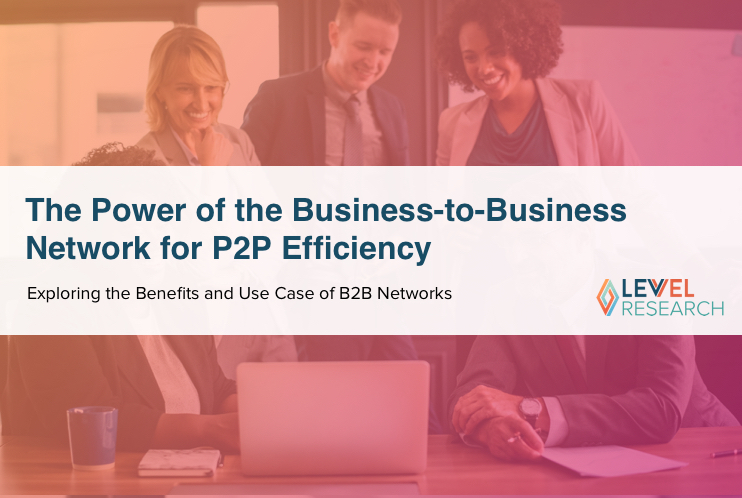 One of the most effective options for holistic control and automation in Procure-to-Pay (P2P) processes is the use of Business-to-Business (B2B) networks. These networks offer a platform for many-to-many connections to thousands of high-quality suppliers, allowing companies to strengthen and optimize their P2P processes with a globally relevant supplier management tool. These tools are especially appealing to companies that wish to increase their success and competitive advantage across different markets. 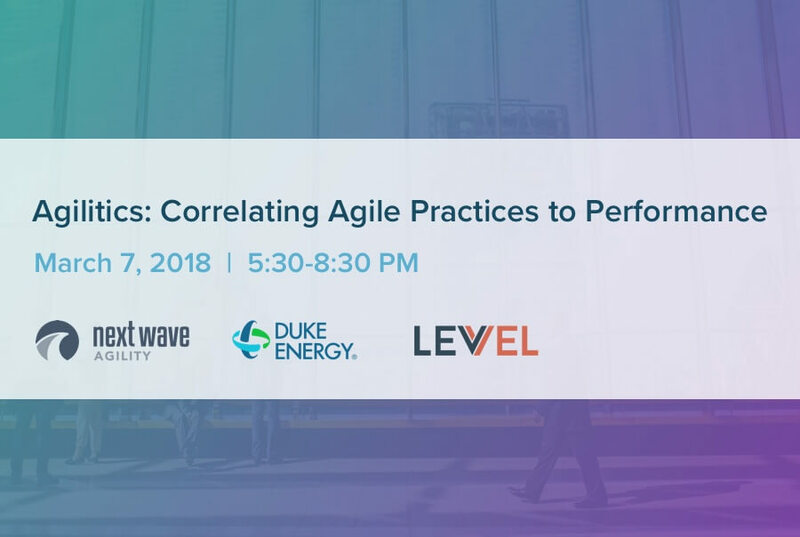 Join Levvel Research and B2B network expert, Basware, to learn more about these dynamic platforms and how they can be applied to a help companies achieve their business goals. Vuejs is considered component driven, extensible, approachable, and performant. 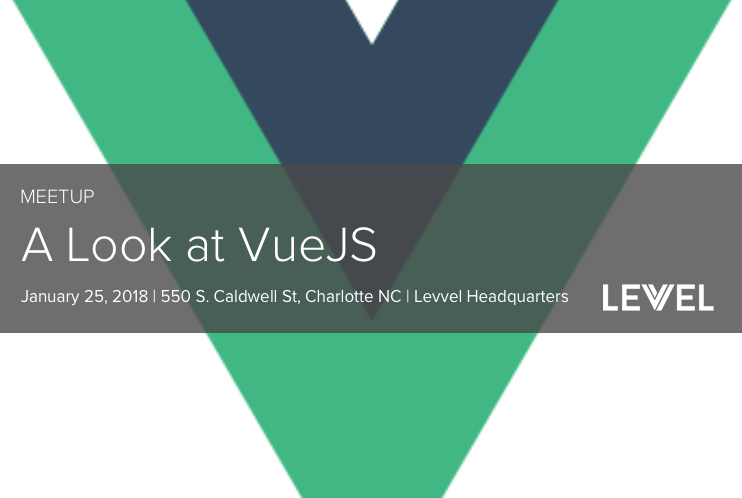 Whether you’re a web dev without the frameworks, planning a migration off a front-end stack, or have been deep in development with Angular or React, Vue has something for you. As the new year begins, many companies are looking for ways to improve their competitive advantage. What many don’t realize is how much of their business success depends on the security of their financial processes, such as in their Accounts Payable (AP) department and their invoice-to-payment lifecycle. When companies are not using the proper AP management tools, they expose themselves to fraud and security risks, such as fake invoices or fraudulent paper checks. The less control a company has over their AP process, the greater impact these issues could have on their financial state and their future business success. This webinar is for companies that want to prepare for 2018 by strengthening their AP security and business stability. 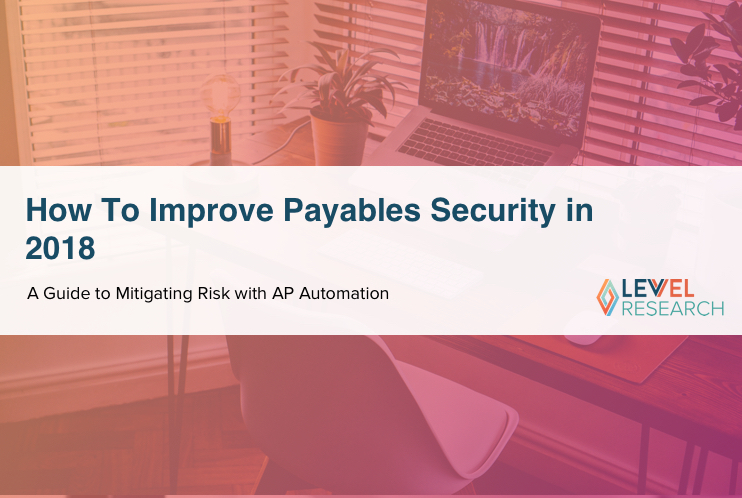 The webinar addresses trends in AP security concerns, payments fraud, and the issues that come with the lack of controls around AP. 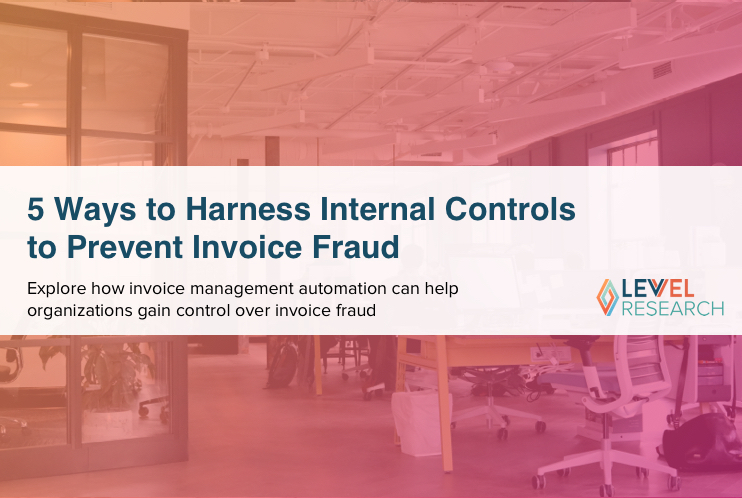 It also highlights best practices for mitigating risk and reducing fraud through each step of the payables process, from invoice receipt all the way to payment. 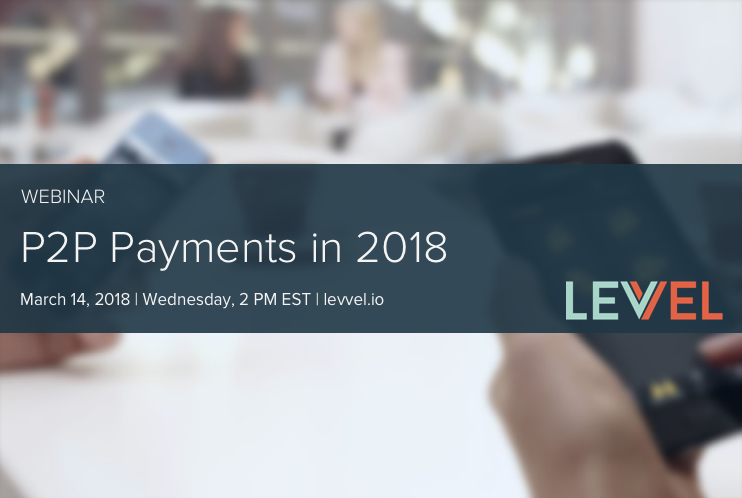 Co-hosted by AP and ePayments software specialist, MineralTree, the webinar leverages data from Levvel Research’s 2017 AP & payments management survey. 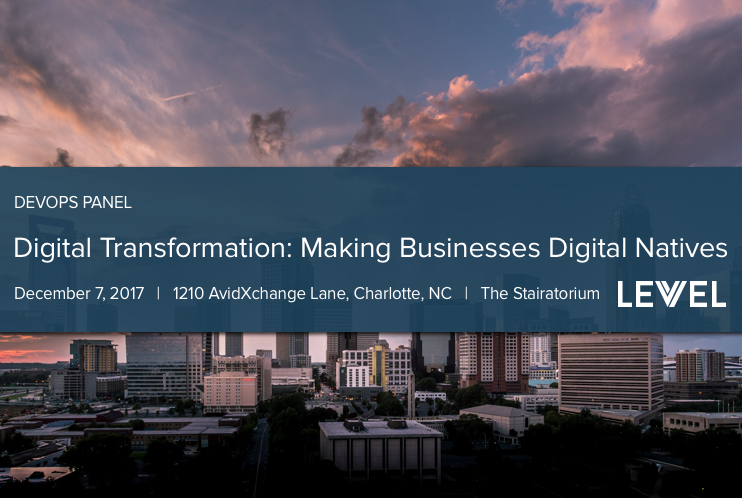 Panel: Digital Transformation—Making Businesses "Digital Natives"
An in-depth discussion on digital transformation by some of Charlotte's top thought leaders. Discussing the process, organization, and technology necessary for companies to become digital natives. Automating expense reporting is one of the most important ways to control costs in the back office, and the travel and expense management (TEM) software options that enable companies to do this are plentiful. However, to truly optimize the expense reporting process in accordance with an organization’s unique business environment requires more than a quick solution pick and implementation. Instead of taking a “band-aid” approach with a generic software tool, organizations should use strategic best practices for both improving current expense reporting processes and for selecting a TEM solution. 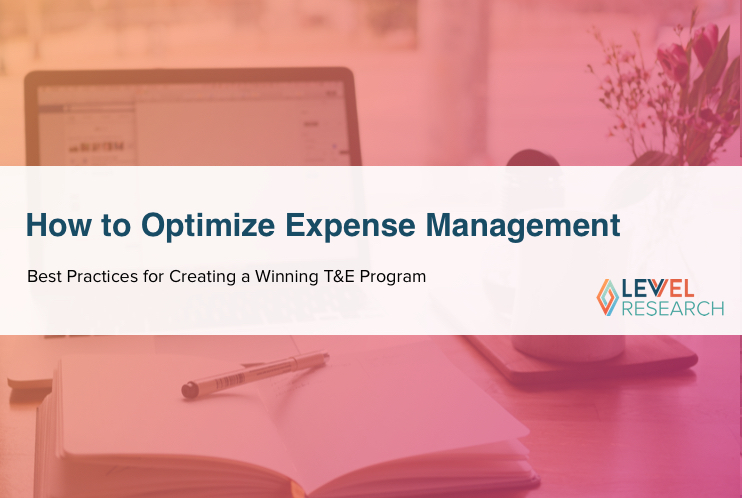 This webinar is for companies that want to truly understand what it takes to align expense reporting with operational and structure goals for long last cost control, increased employee productivity, and higher savings. The webinar discusses how leading organizations digitalize and optimize expense management across different business structures, revenue segments, and industries, and it will allow attendees to benchmark their own environments against those leaders. Co-hosted by TEM software specialist, Coupa, the webinar leverages data from PayStream’s upcoming 2018 Travel and Expense Management report, as well as Coupa’s years of experience in expense reporting optimization. 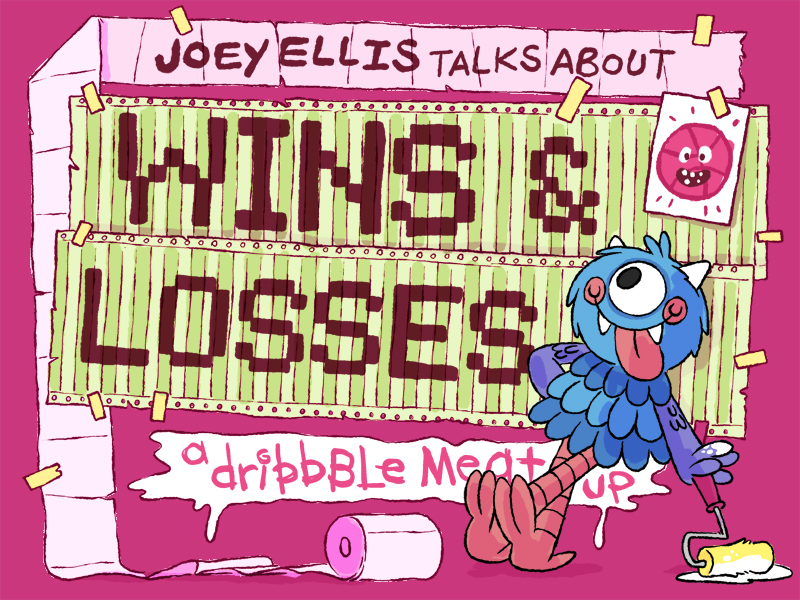 This meetup we will be having Joey Ellis discussing the various highs (wins) and lows (losses) of running his own shop over the past six years. What were the risks he knew he’d face? What were the hidden pitfalls he didn’t anticipate? So many mysteries, yet so little time. 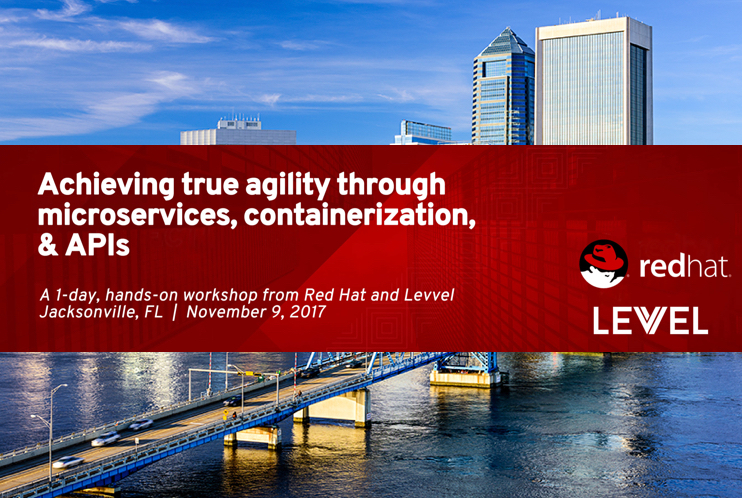 Join Levvel and Red Hat for a 1-day, hands on workshop where you'll learn how to achieve true agility through microservices, containerization, and APIs. 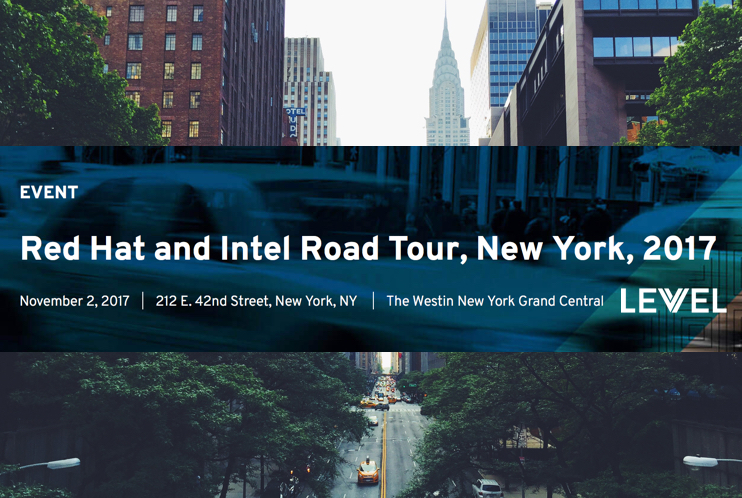 The Red Hat® and Intel Road Tour is a premier event for thought leaders who work with open source technologies. 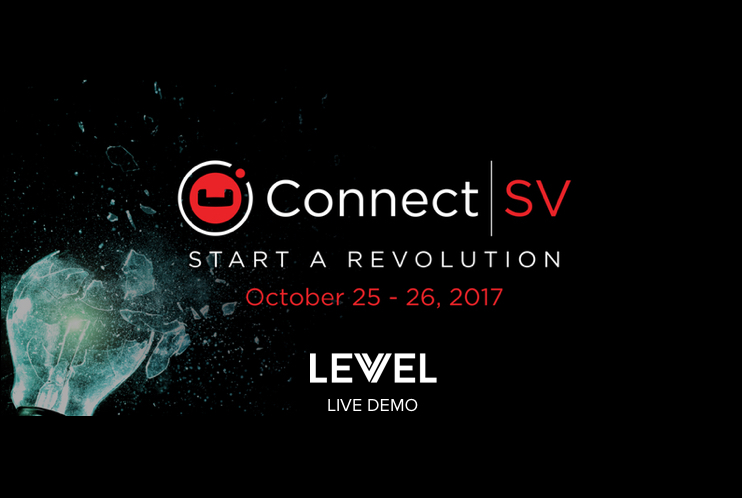 We're bringing together thought leaders like you to discuss cloud innovation, DevOps, containers, and more. Couchbase Connect is where today’s leaders in digital innovation and customer engagement meet. 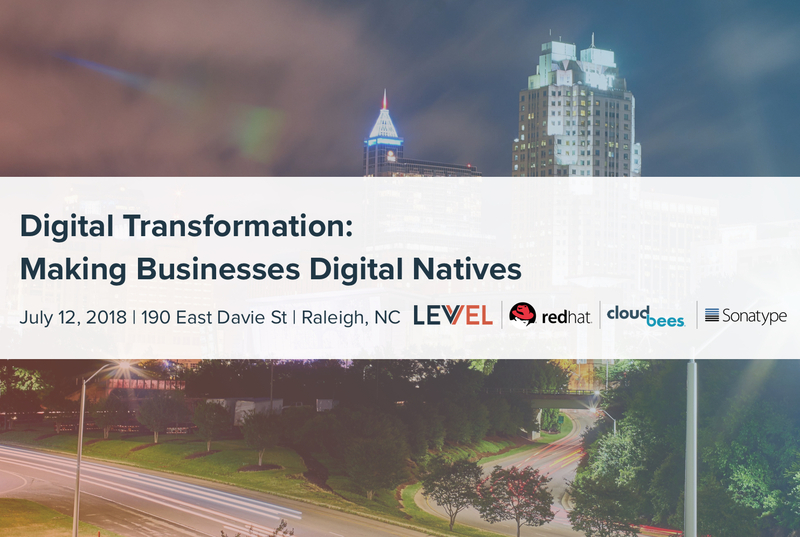 Join us to learn how Couchbase helps leading enterprises power cutting-edge, digitally-enabled customer experiences by enabling highly complex customer interactions at scale, across the entire digital landscape. 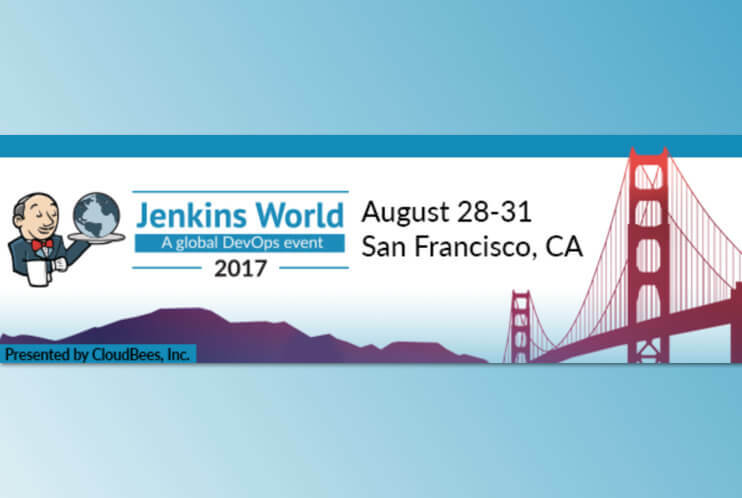 Levvel experts teamed up with Red Hat to provide a DevOps demo to Jenkins World attendees. 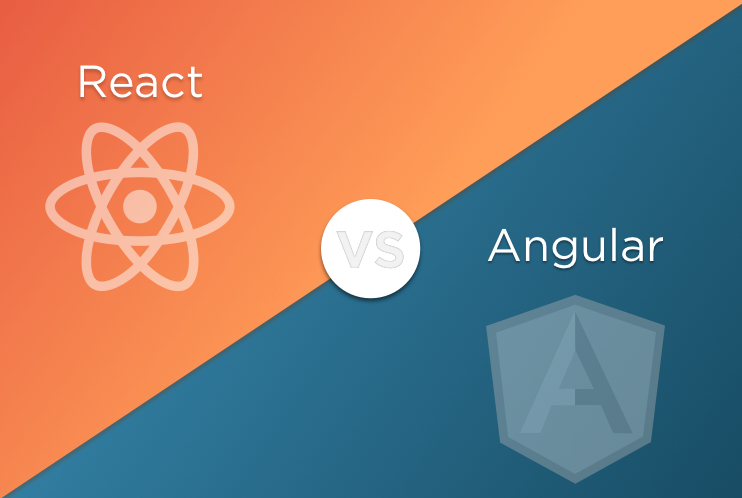 A common question that arises at our clients (of all sizes) is “Should we pick Angular or React?”. While there is no clear cut answer, our objective is to discuss the many benefits that each of them have to help you make the best decision for your company. 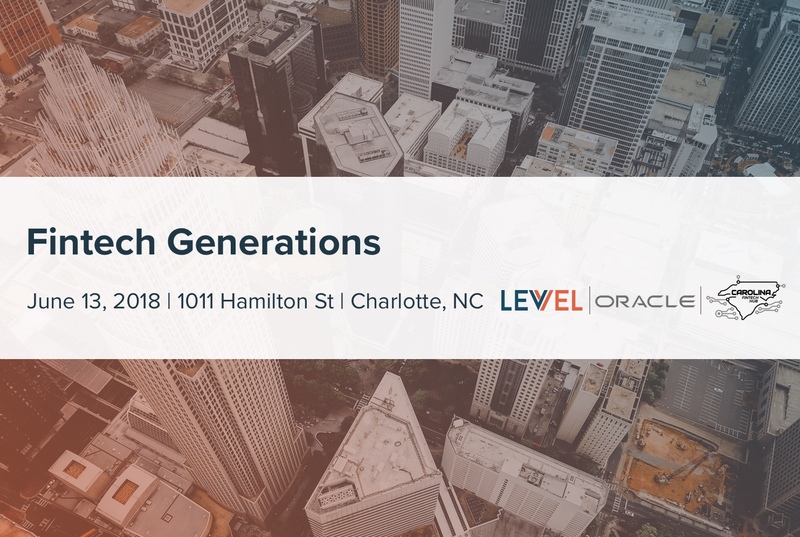 Next Money Southeast, presented by Oracle will bring together Real Financial Service Executives and Real Fintech Leaders discussing Real Issues and providing actionable items you can take back to your company. Come join us for an evening to mingle, connect, and talk design with some of Charlotte’s top design professionals.